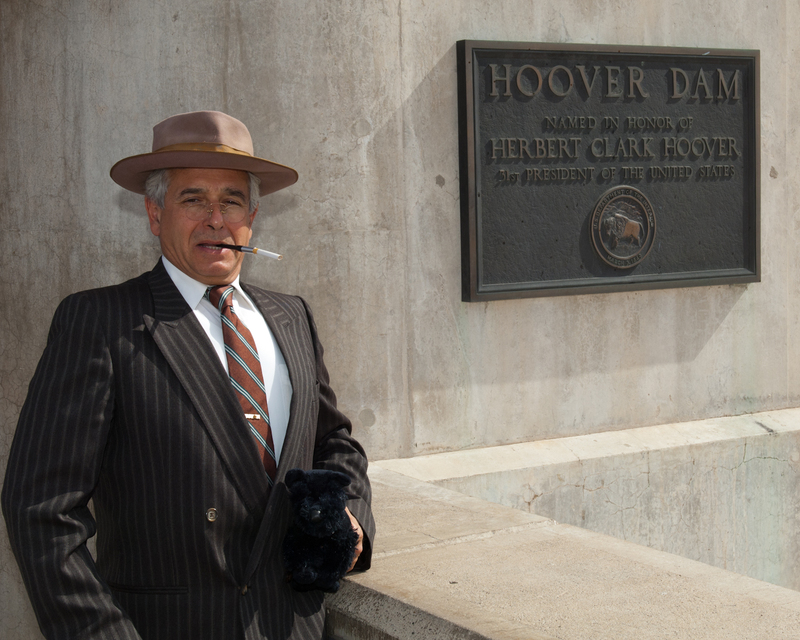 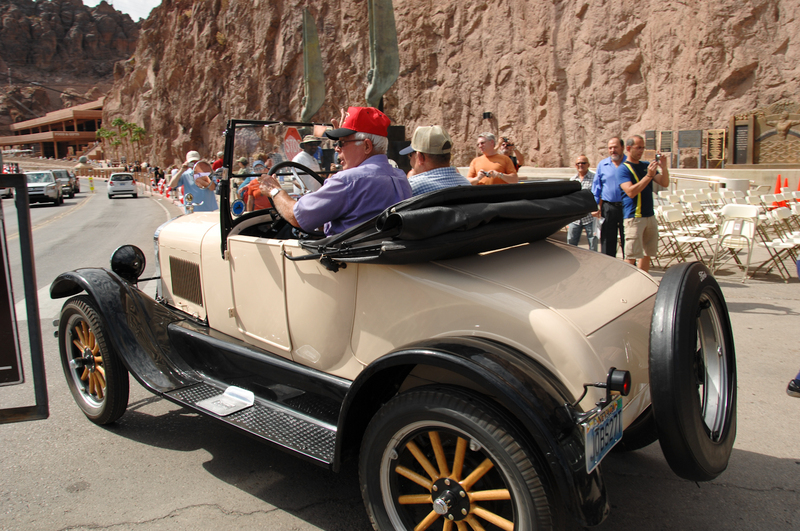 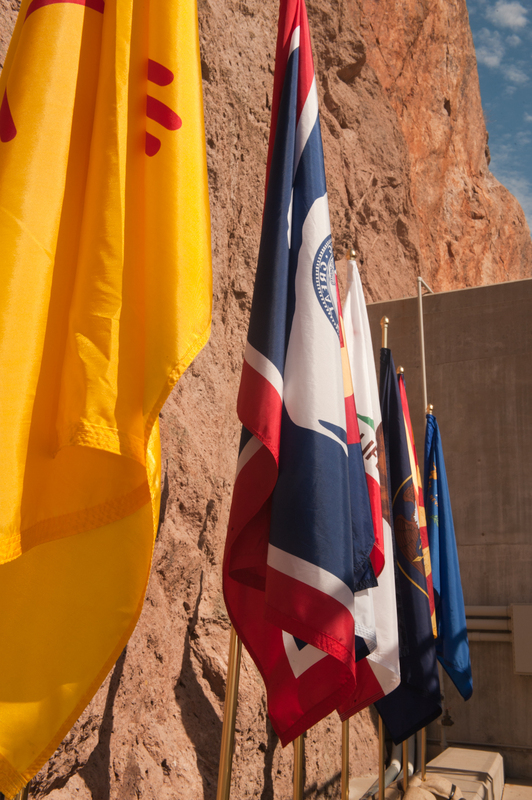 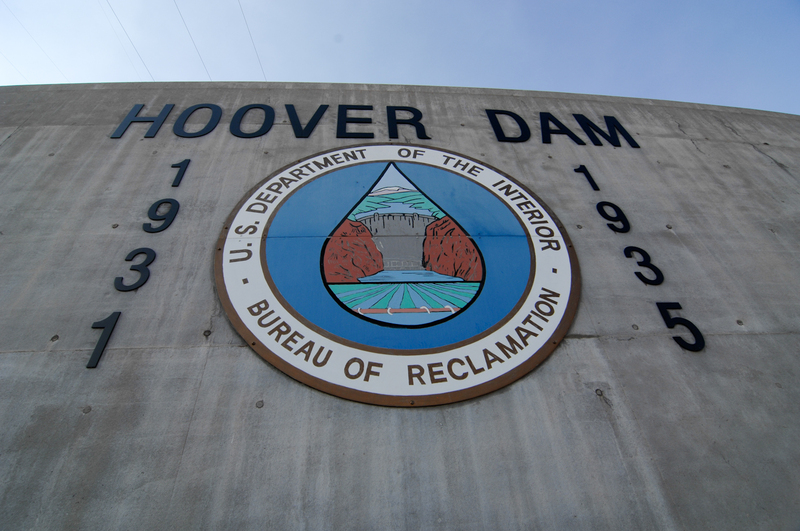 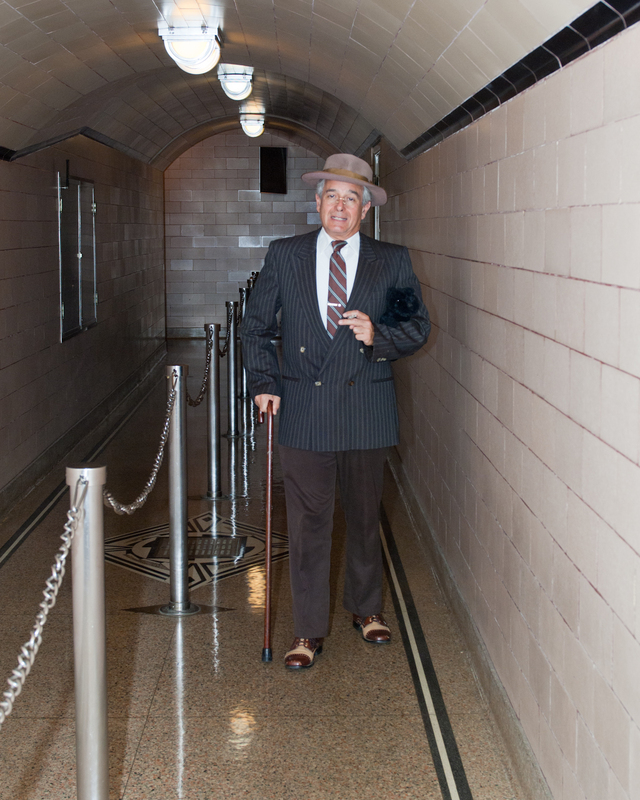 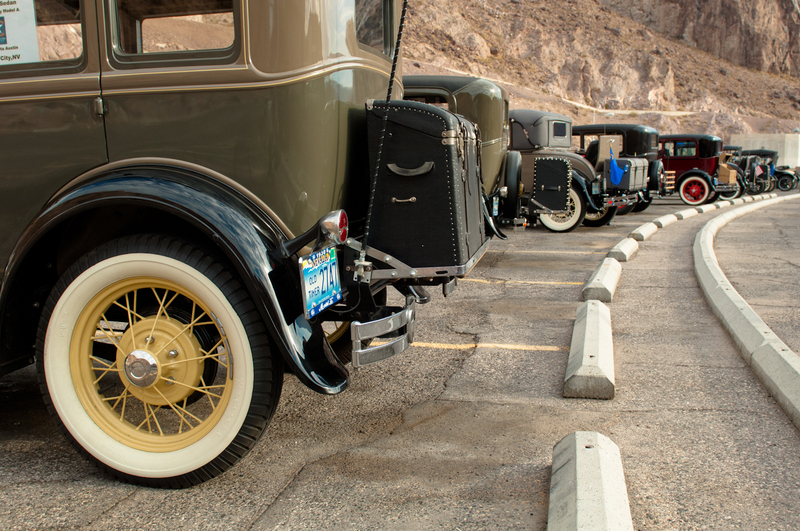 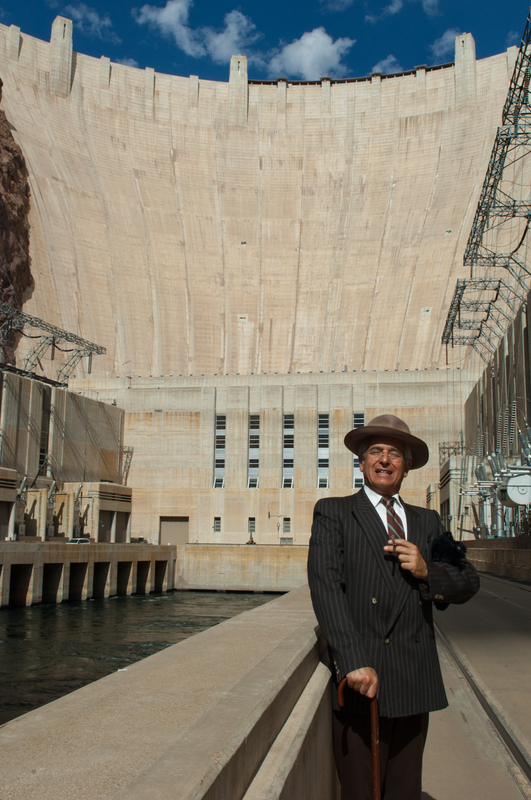 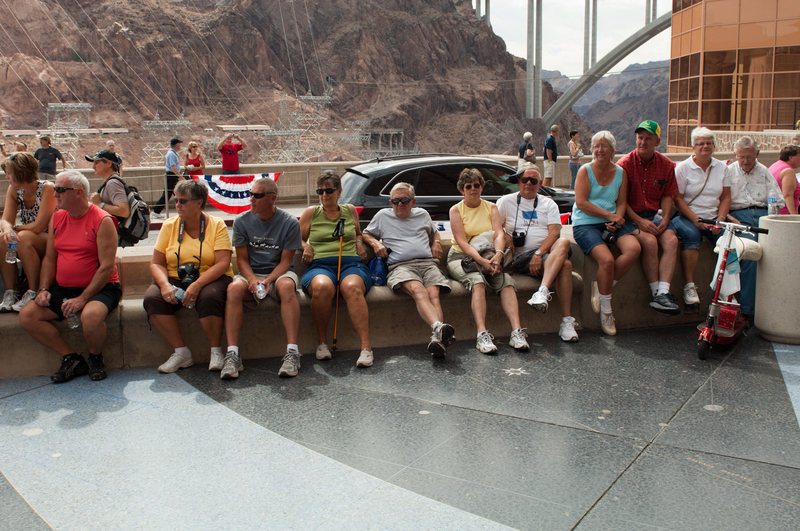 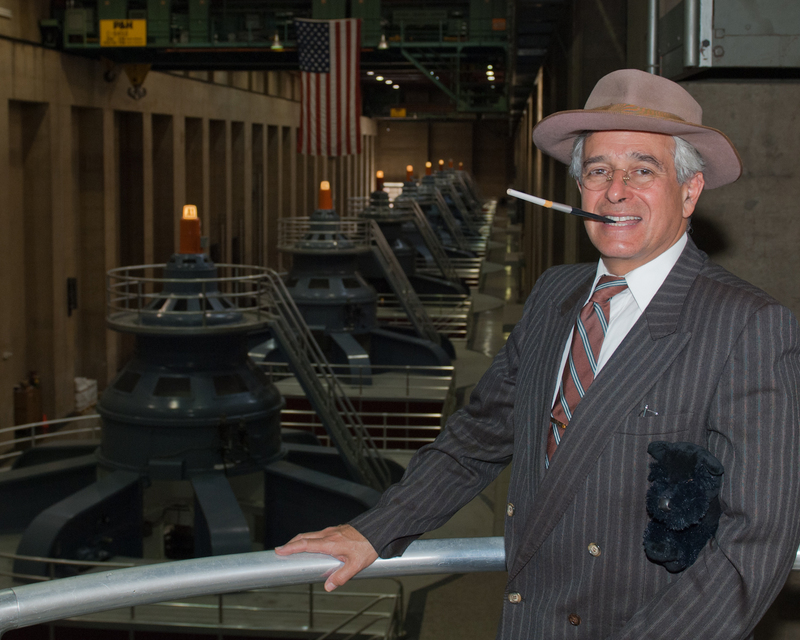 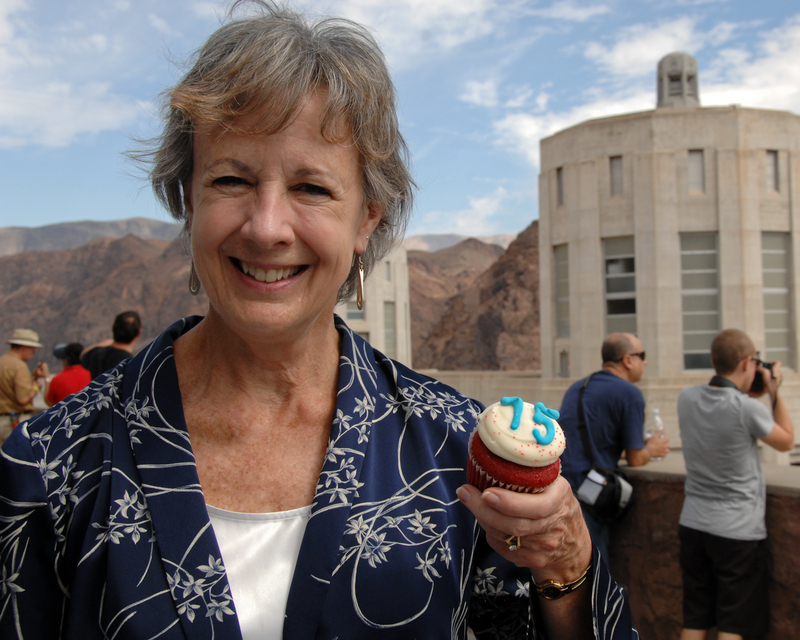 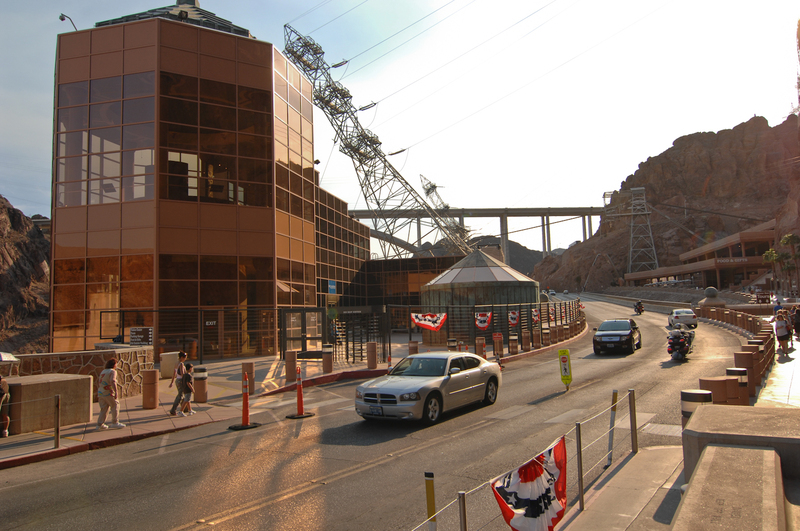 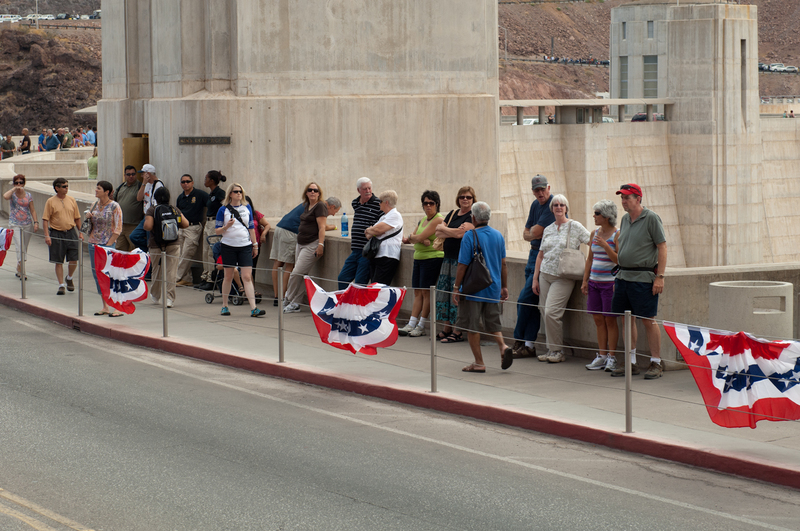 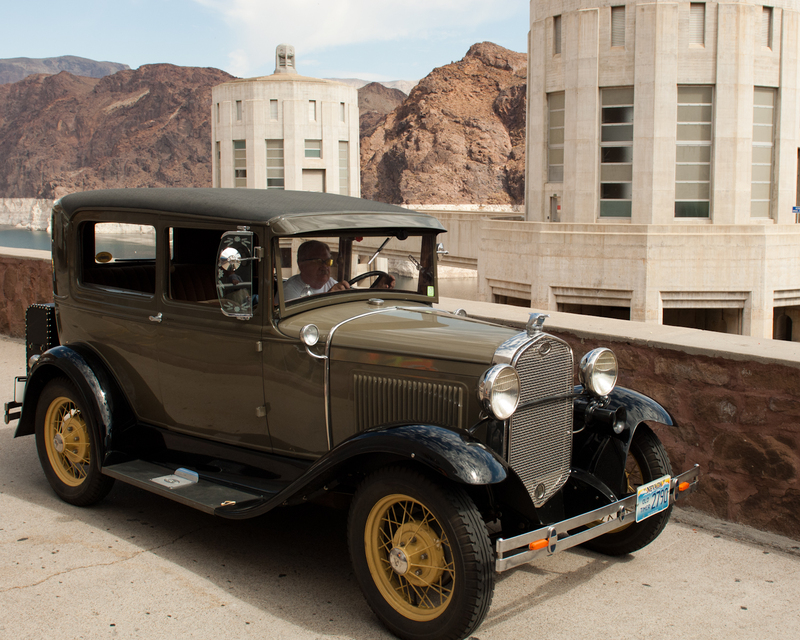 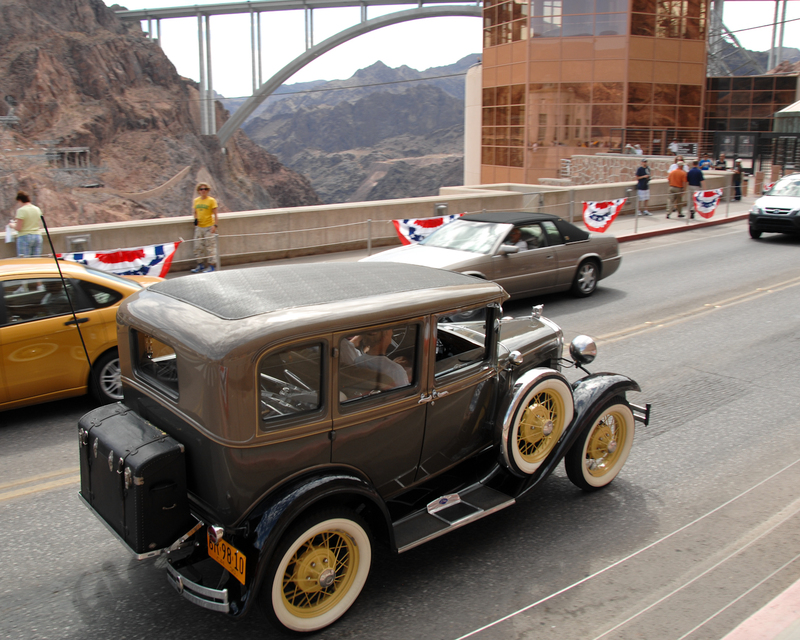 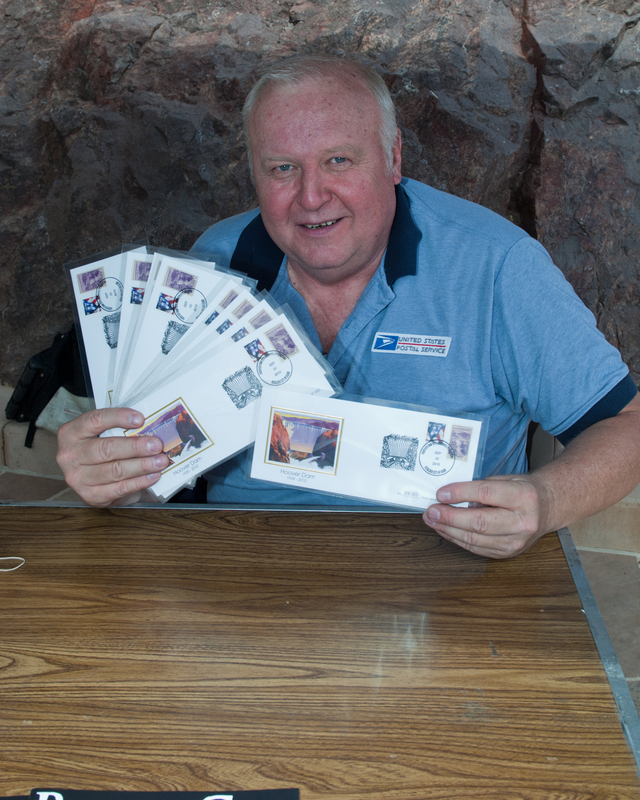 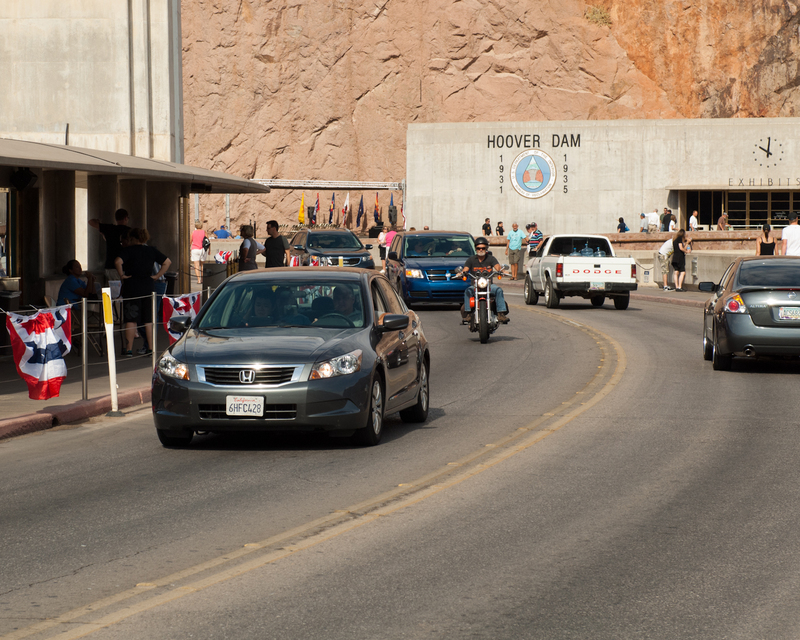 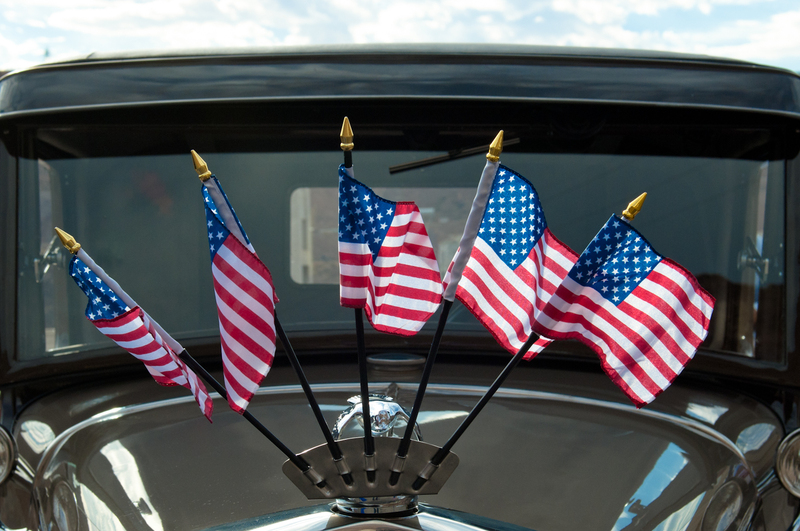 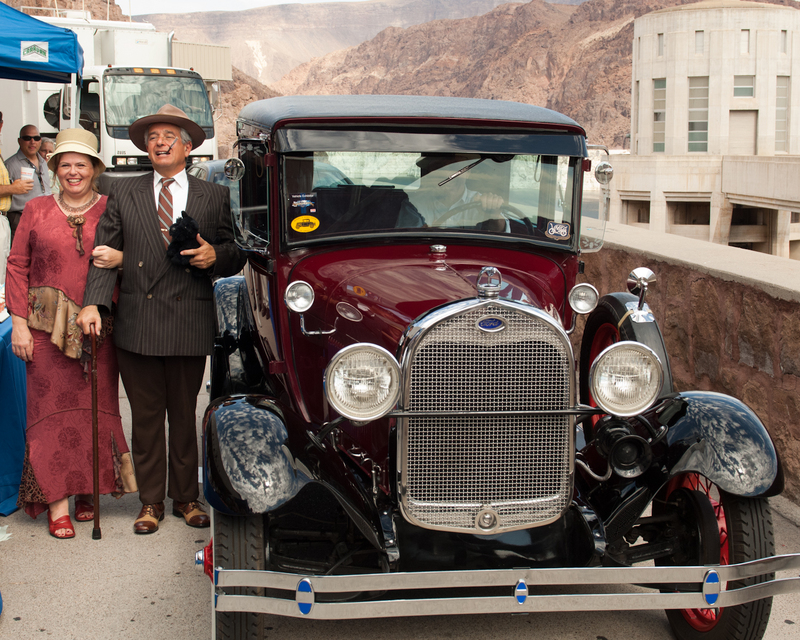 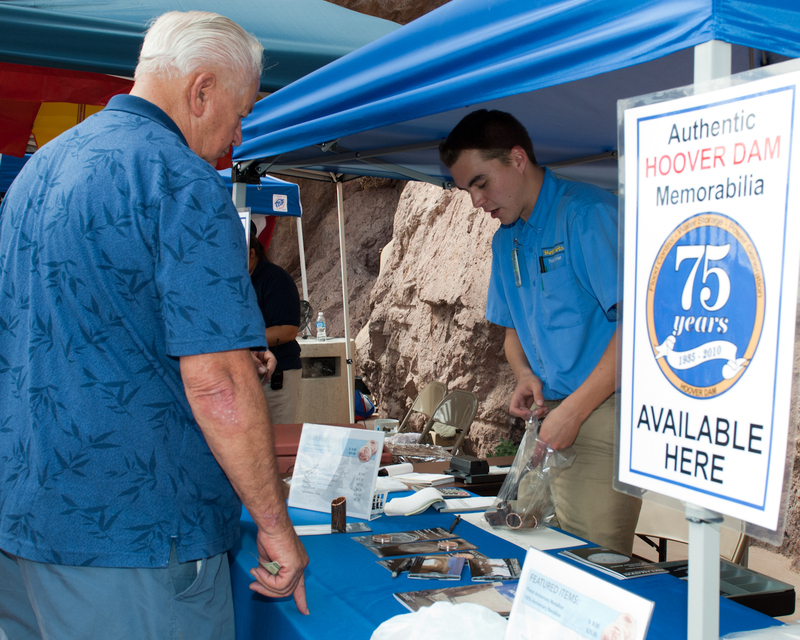 Hoover Dam Celebrates 75 Years! 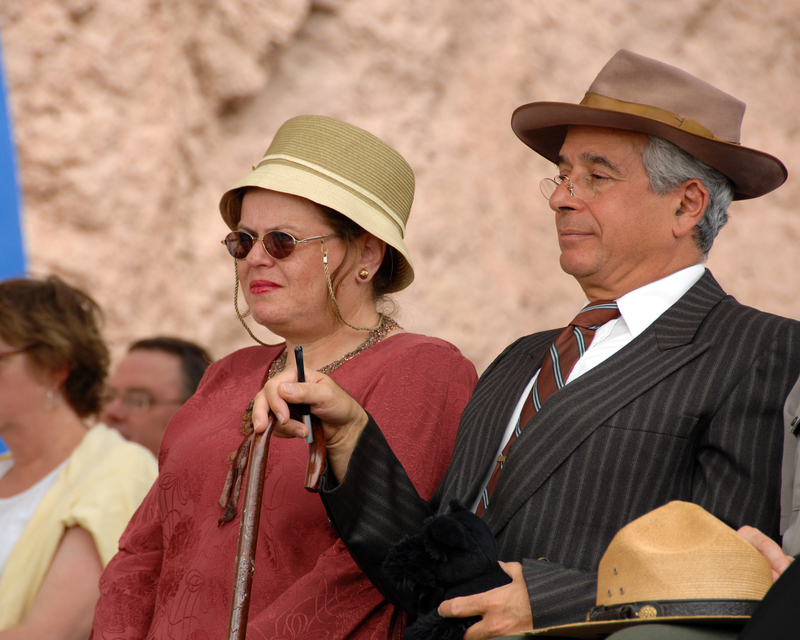 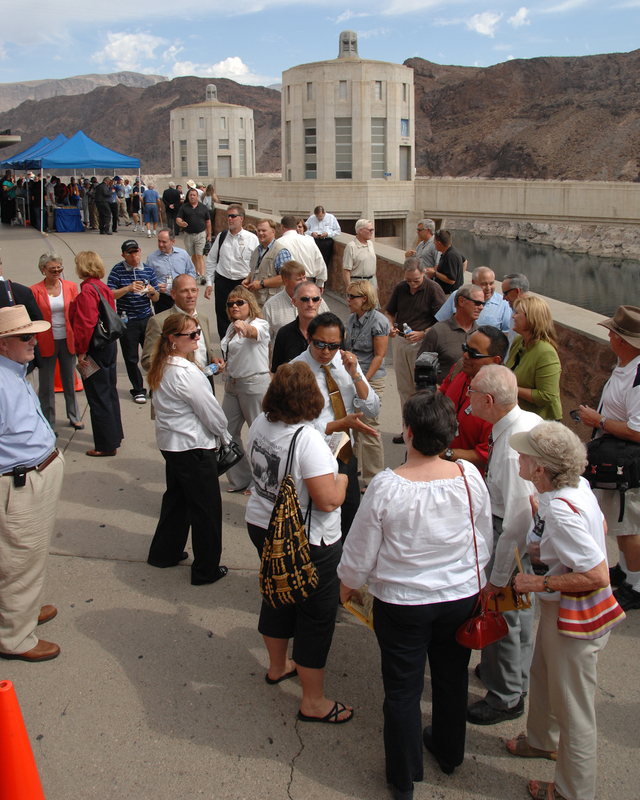 On September 30, 1935, President Franklin Delano Roosevelt dedicated Hoover Dam. 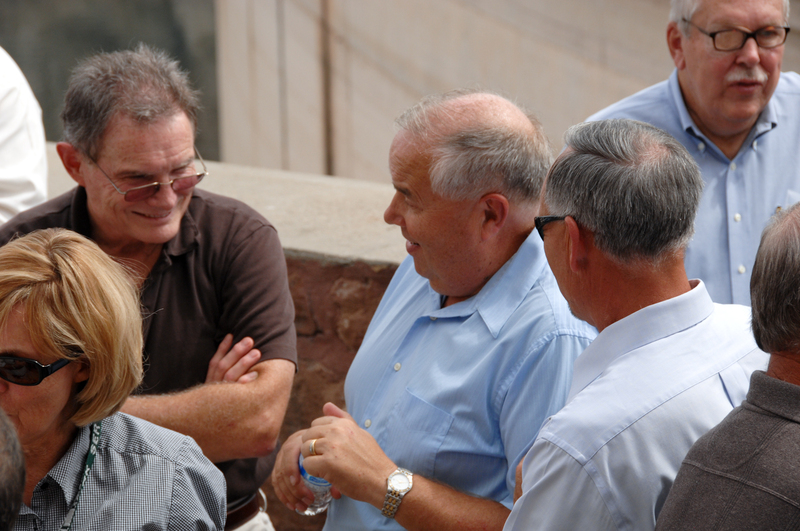 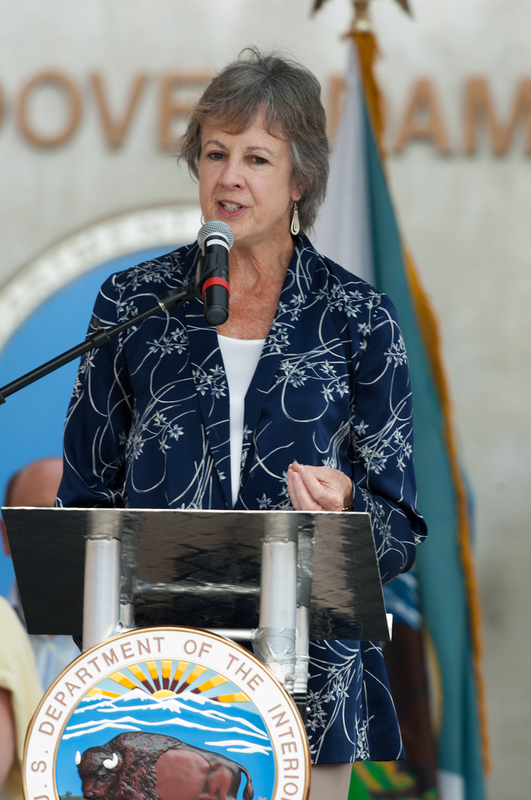 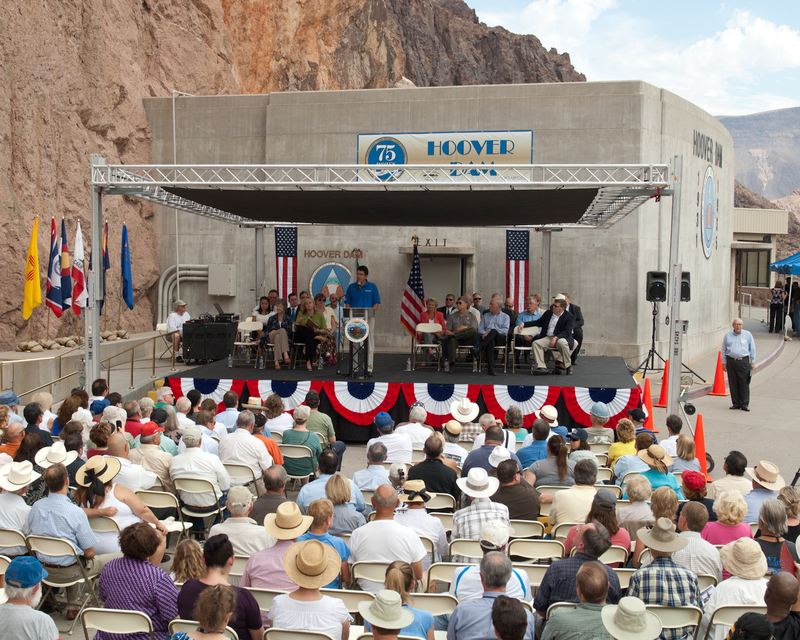 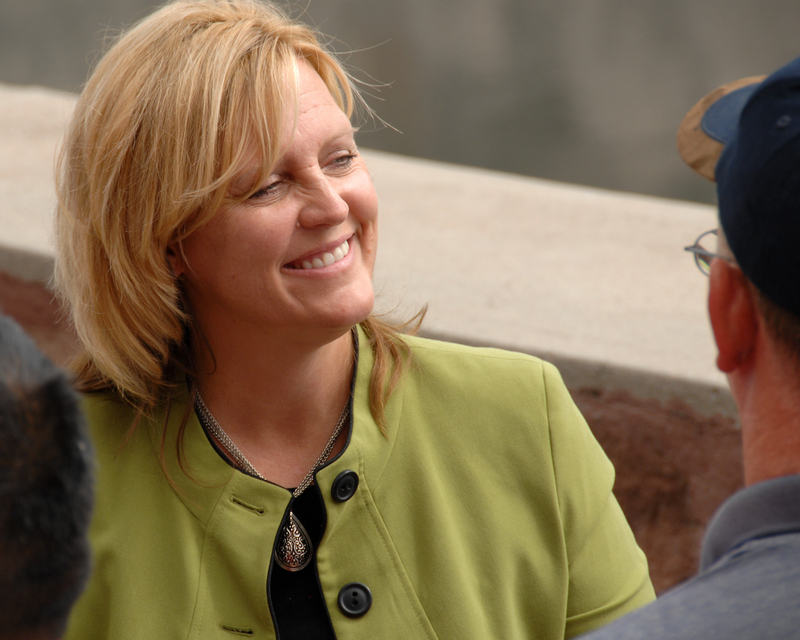 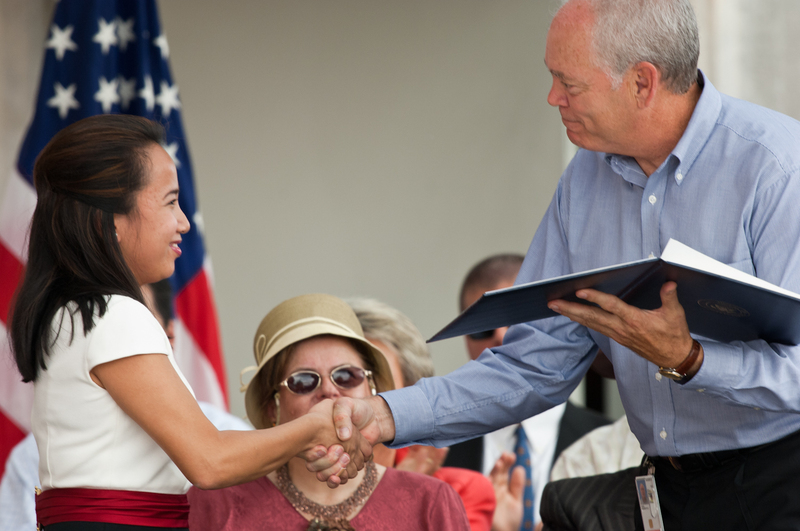 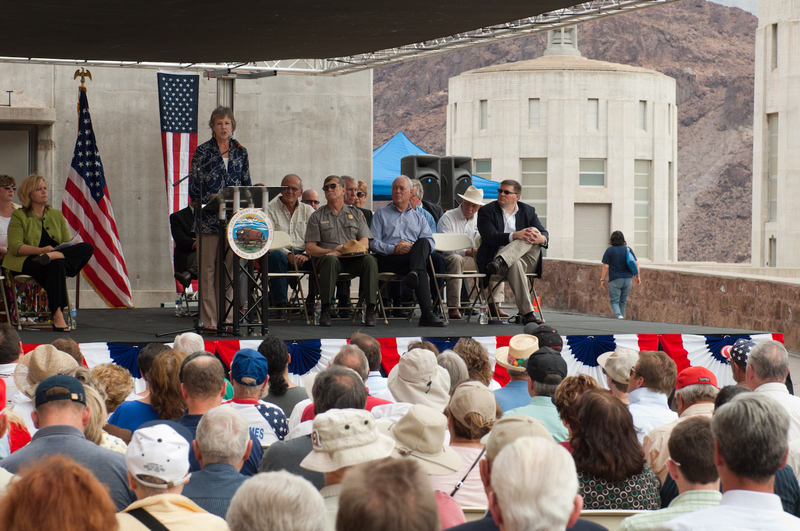 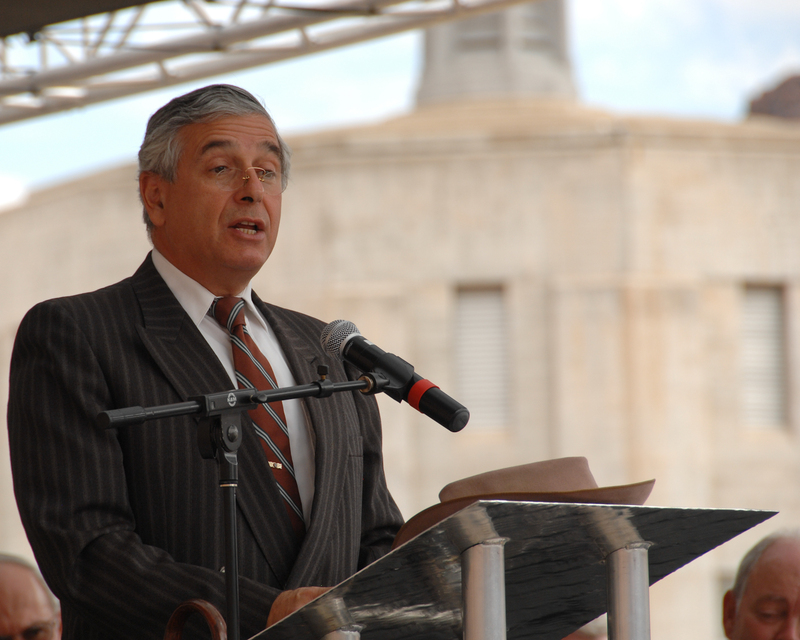 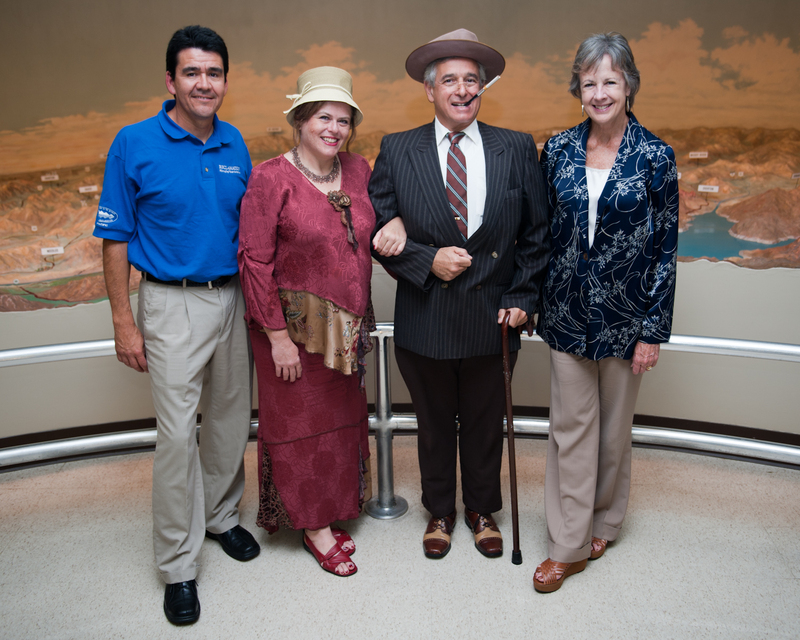 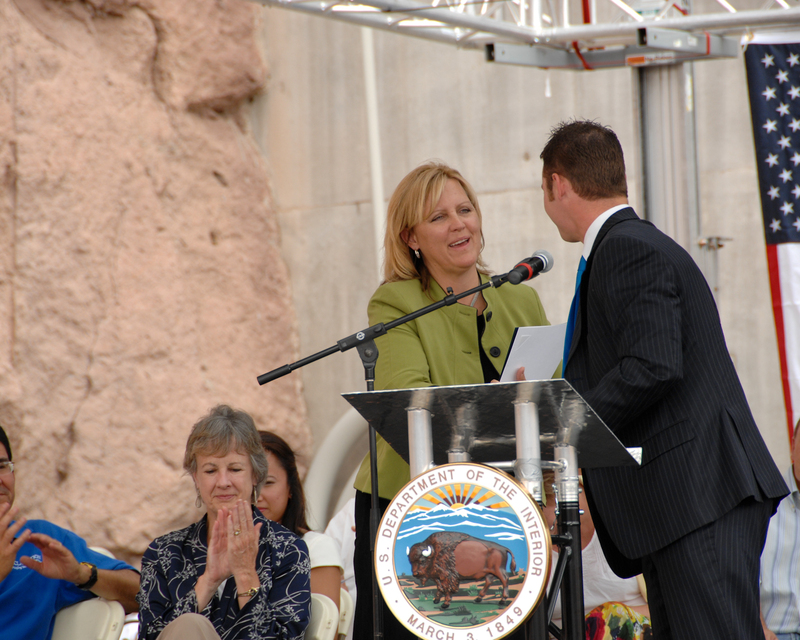 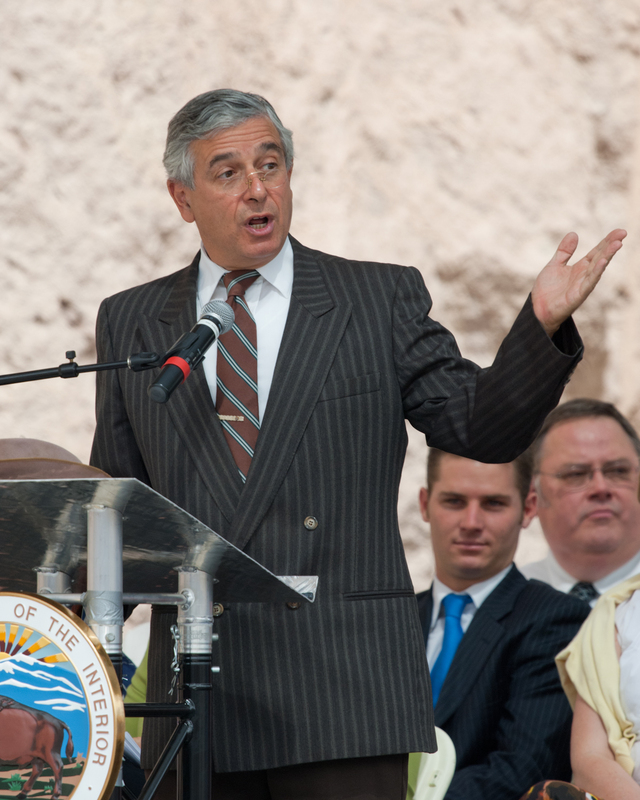 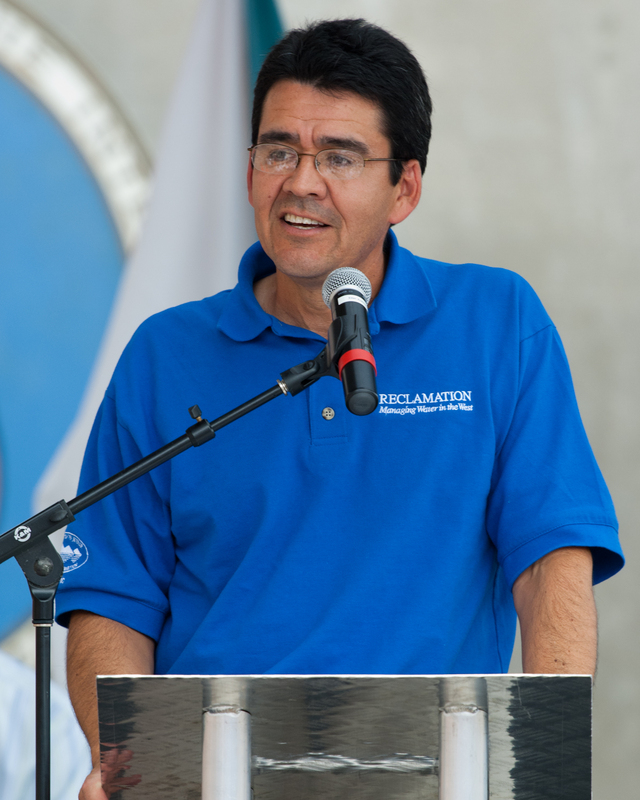 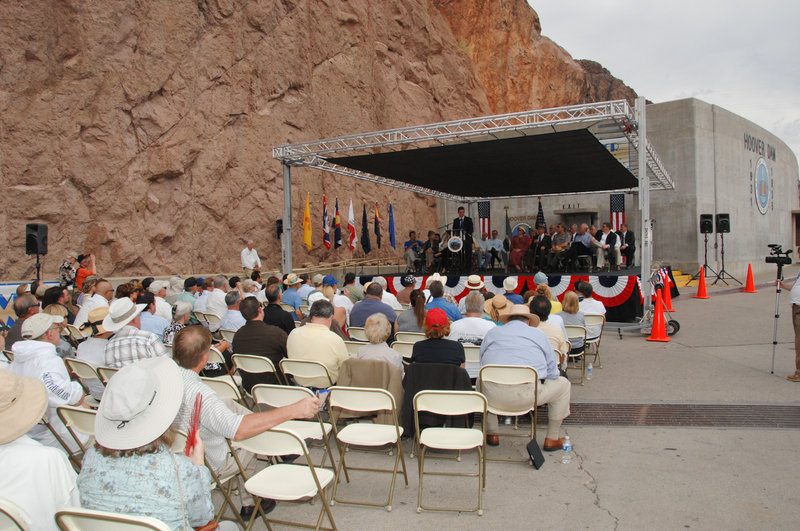 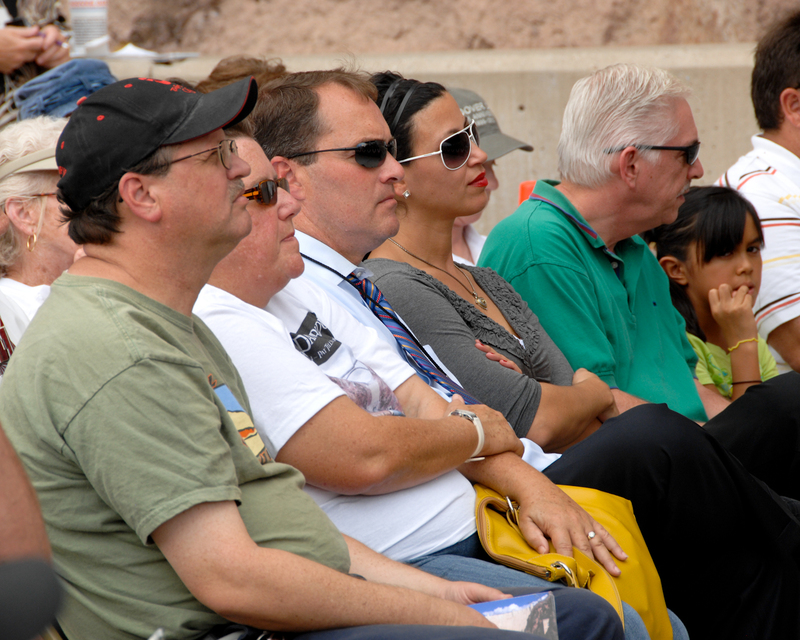 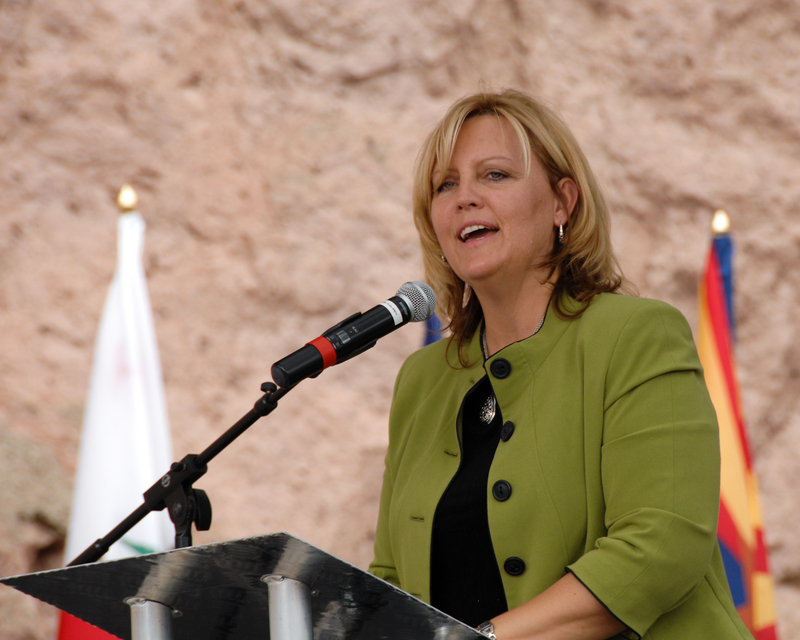 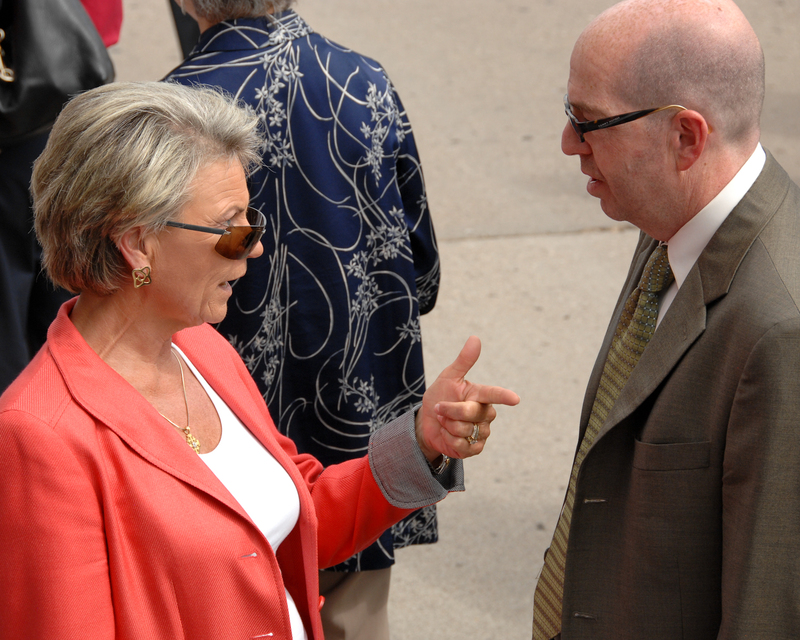 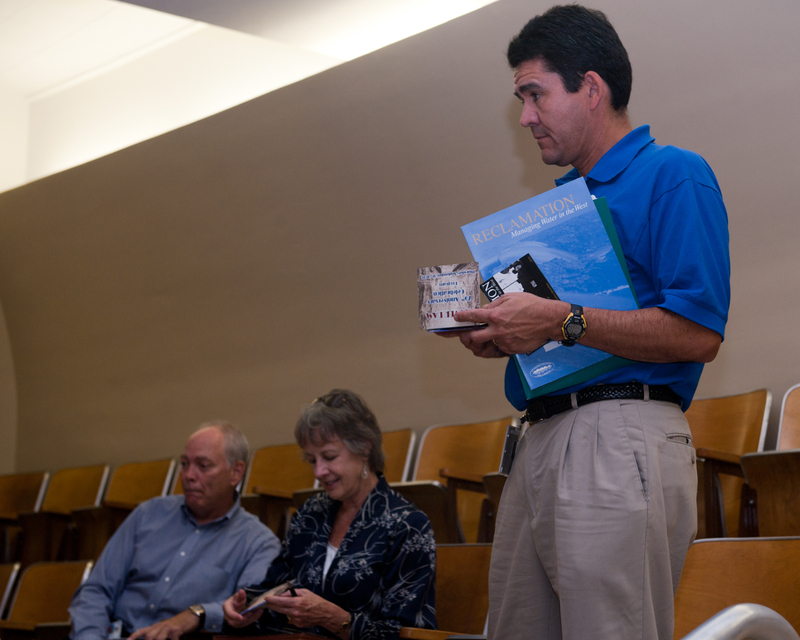 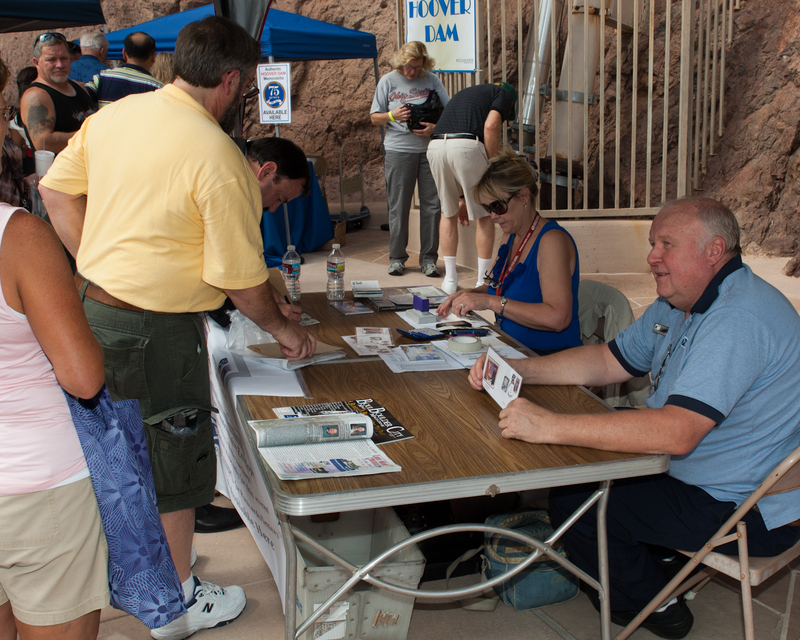 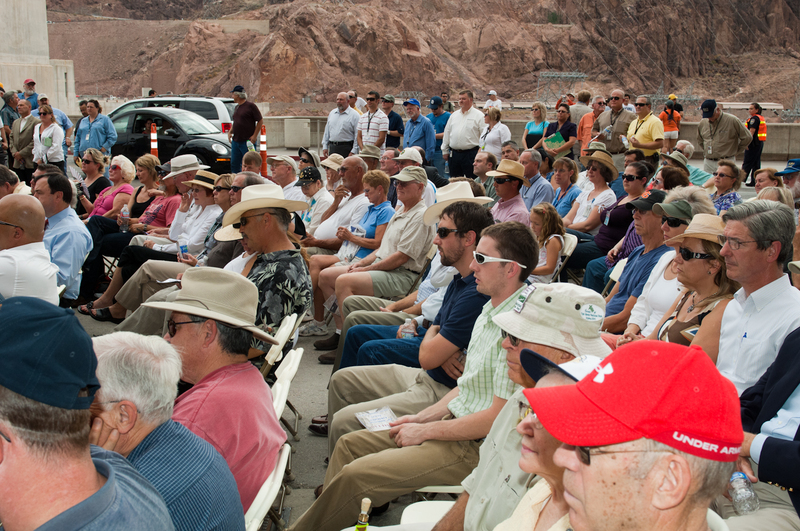 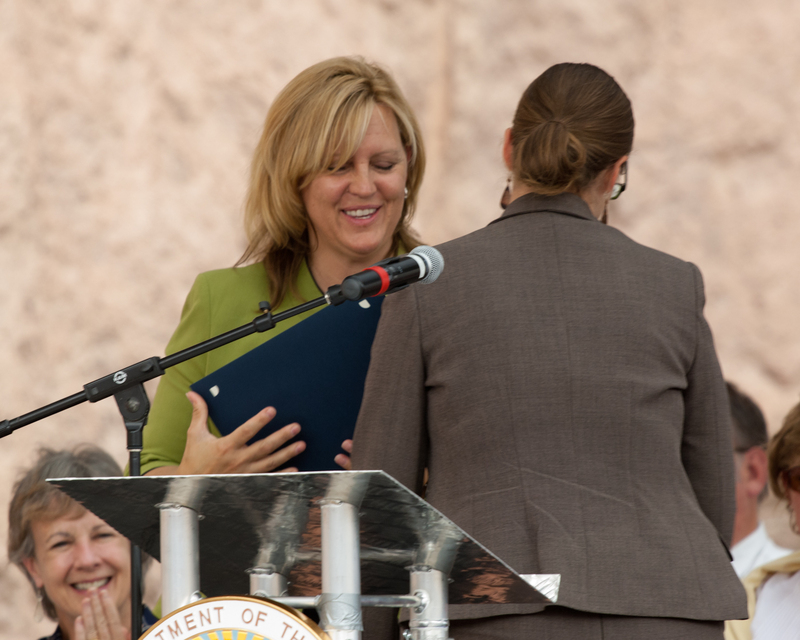 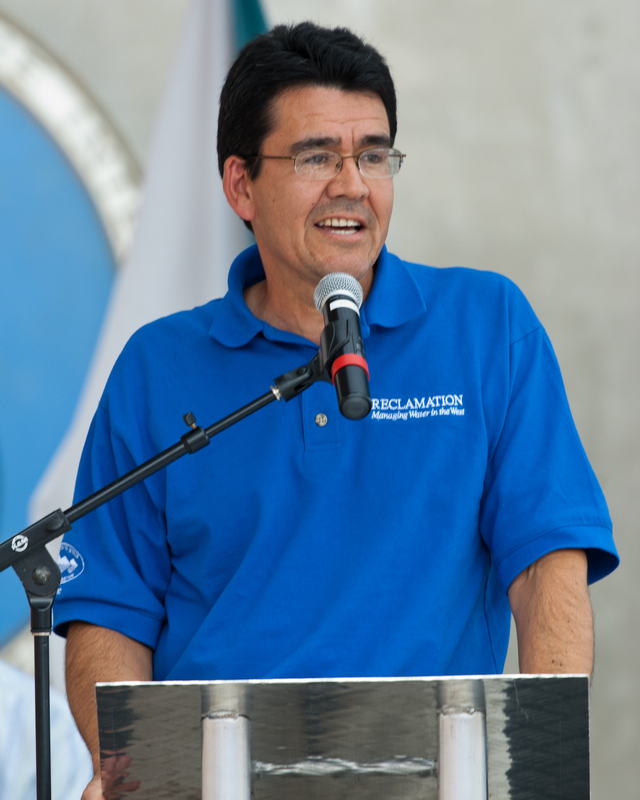 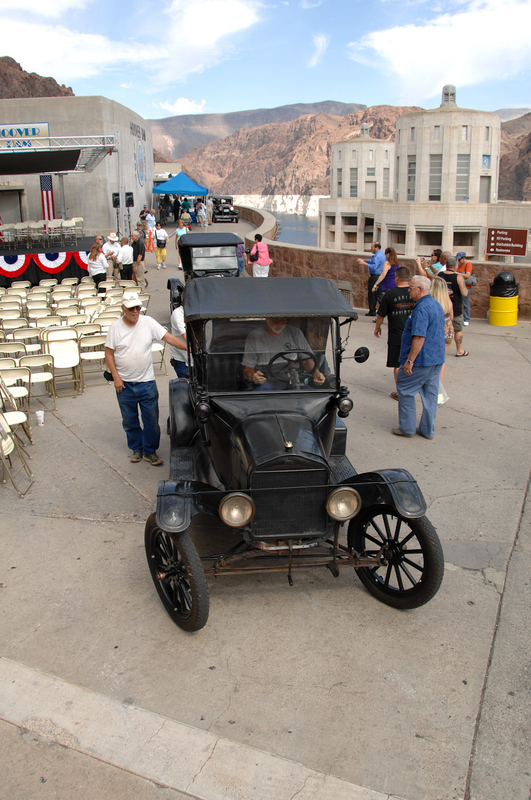 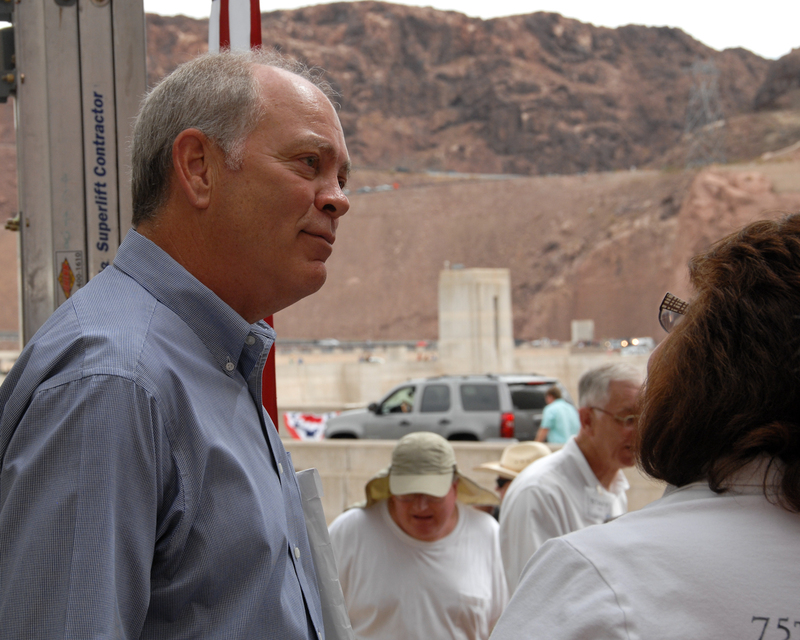 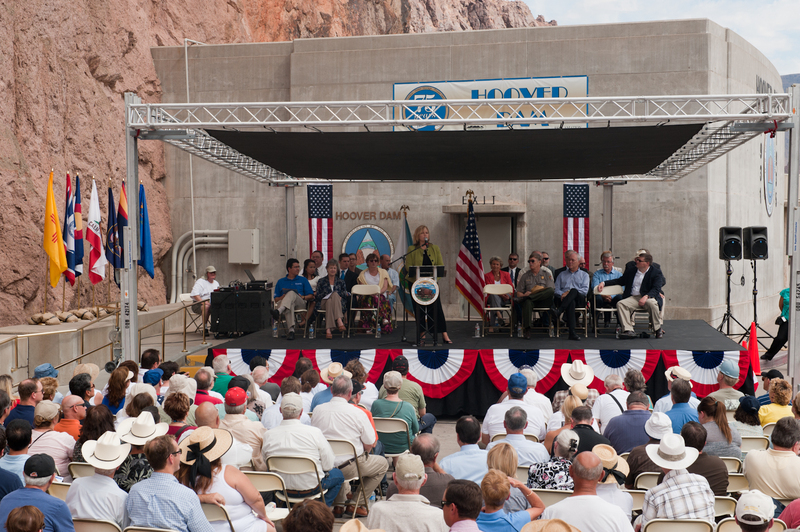 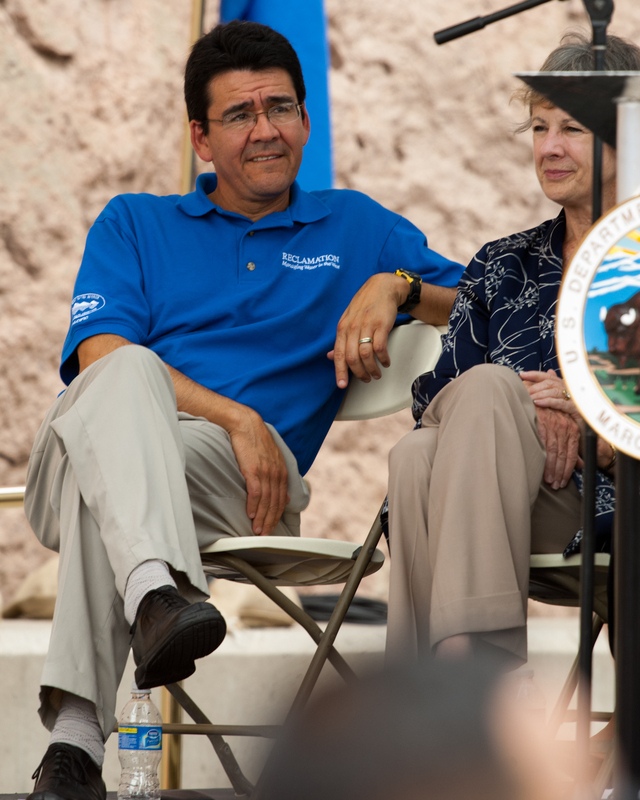 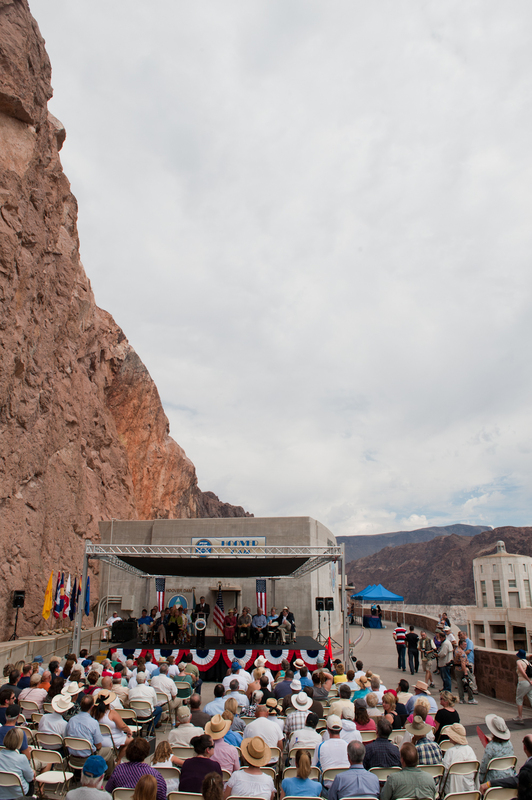 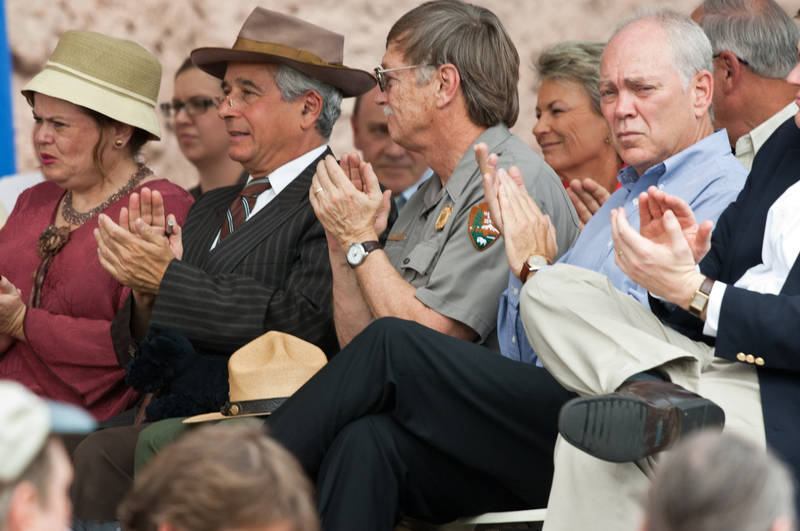 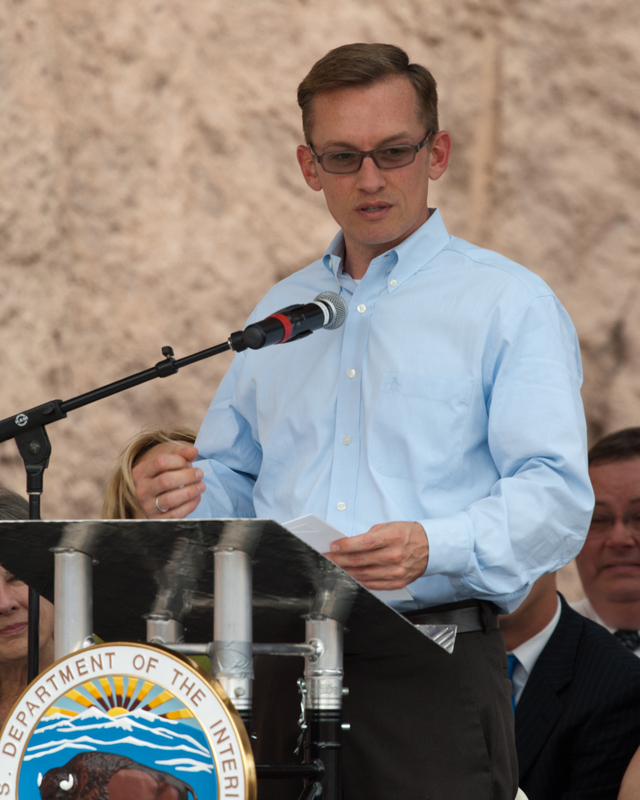 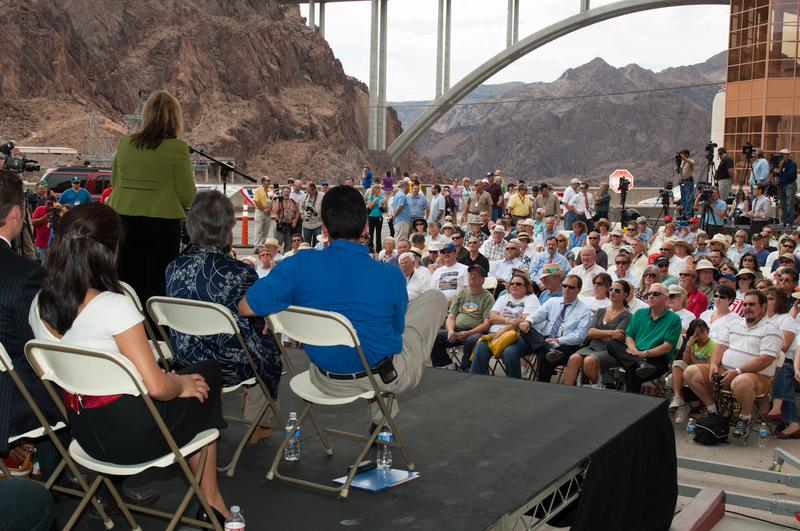 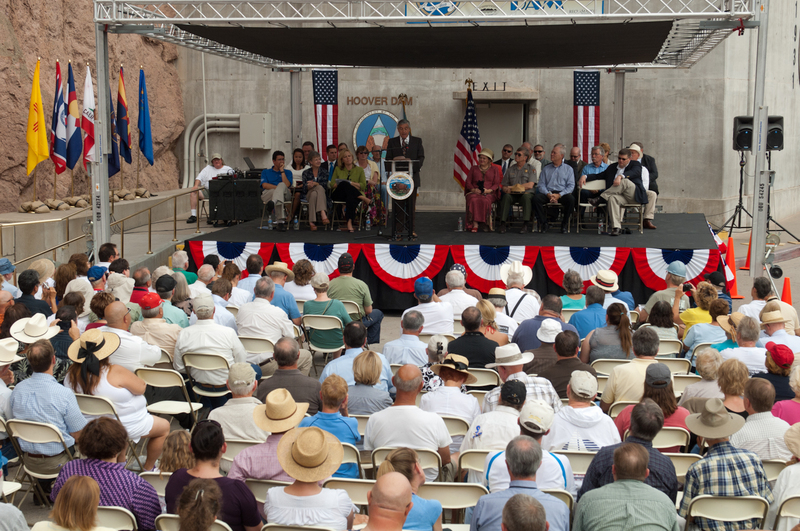 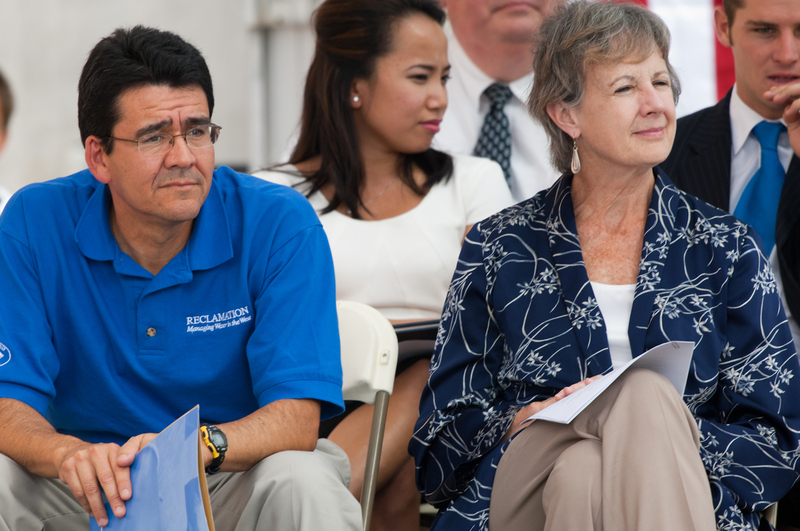 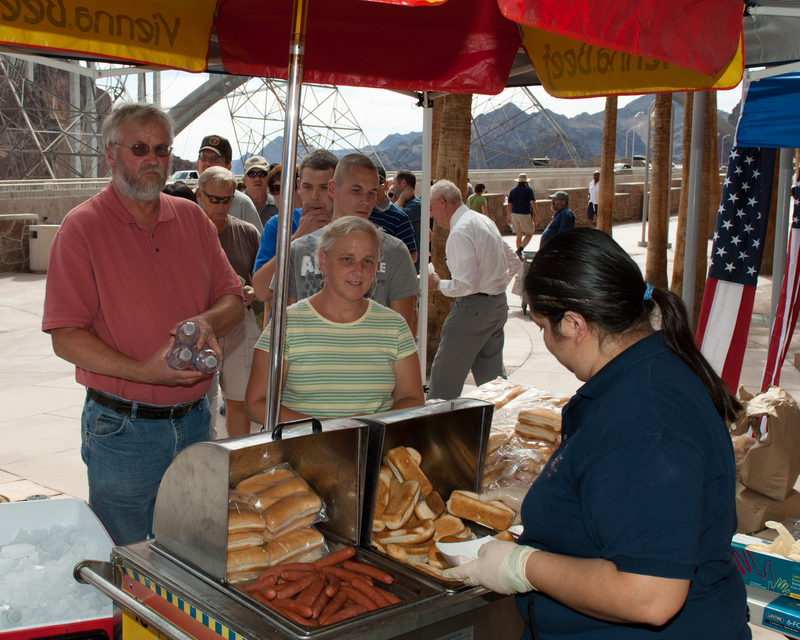 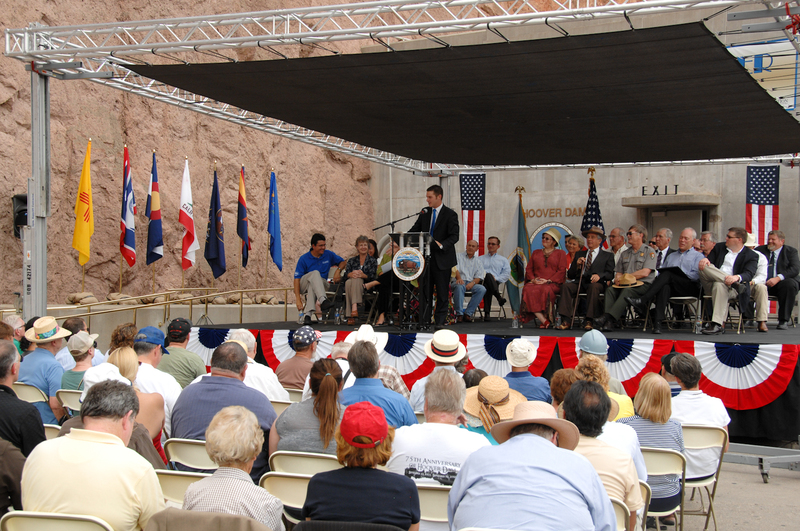 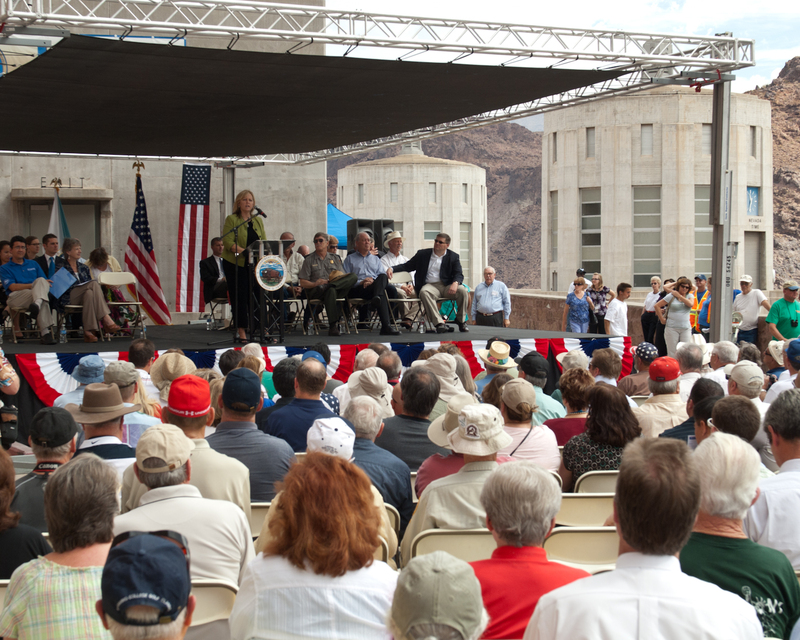 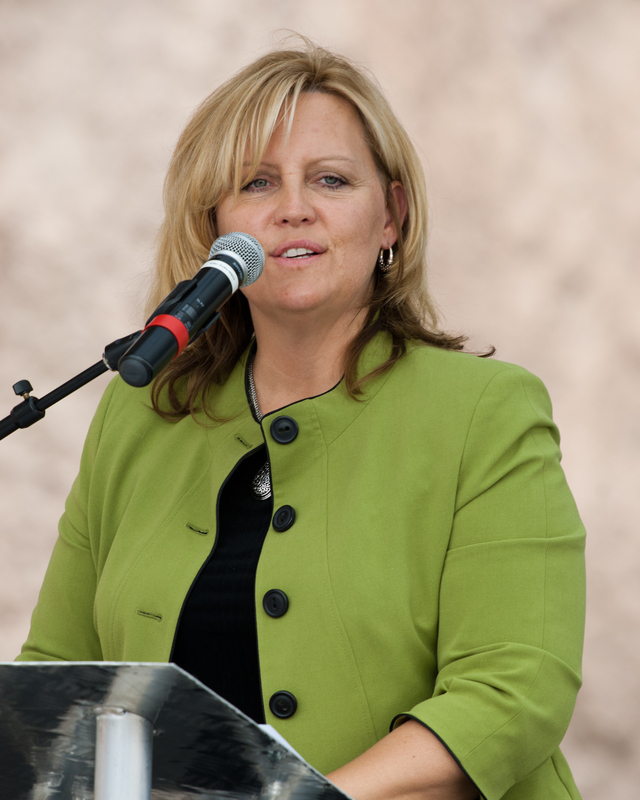 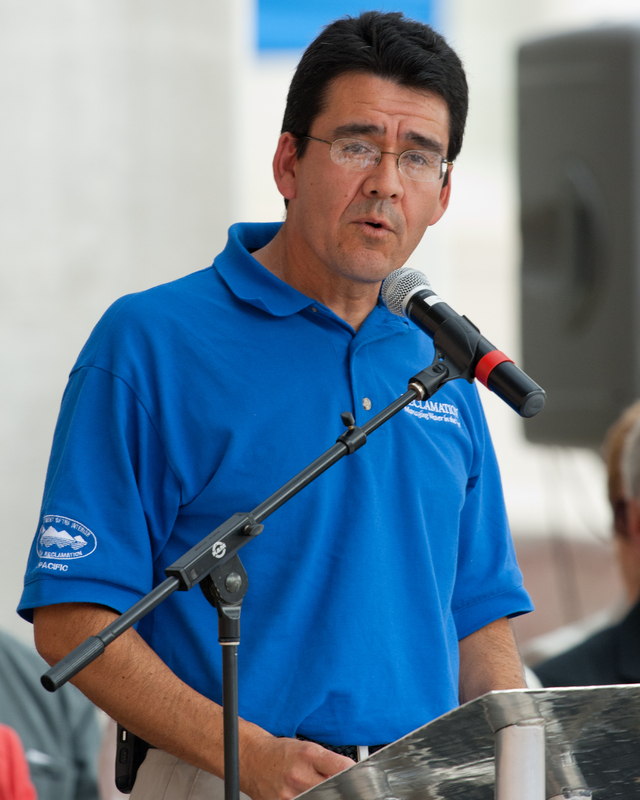 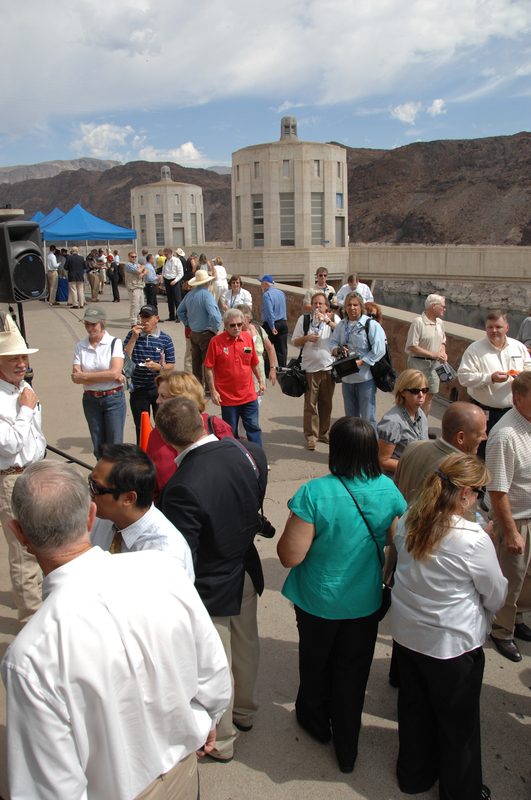 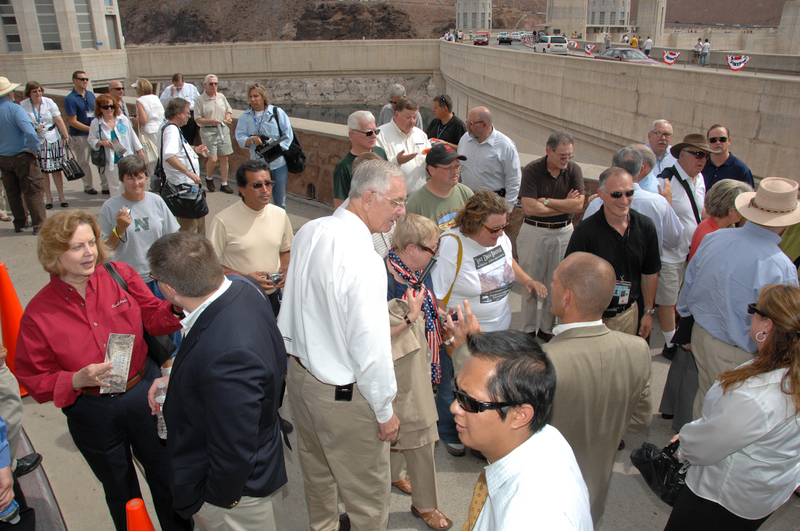 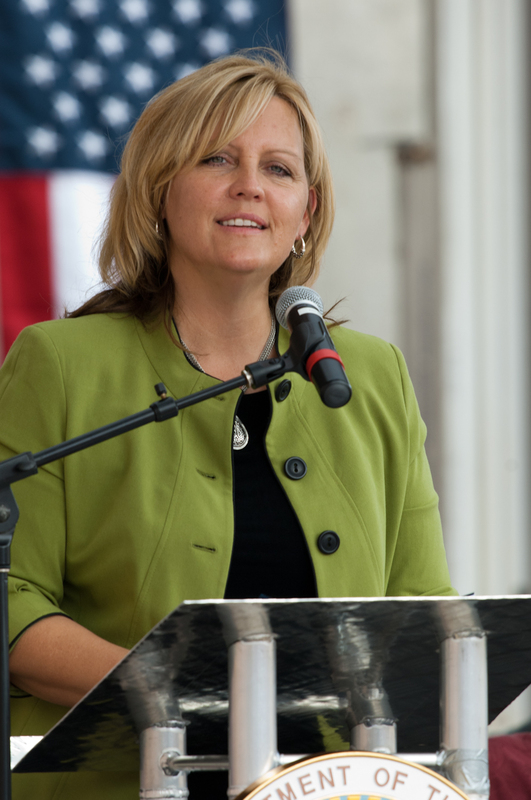 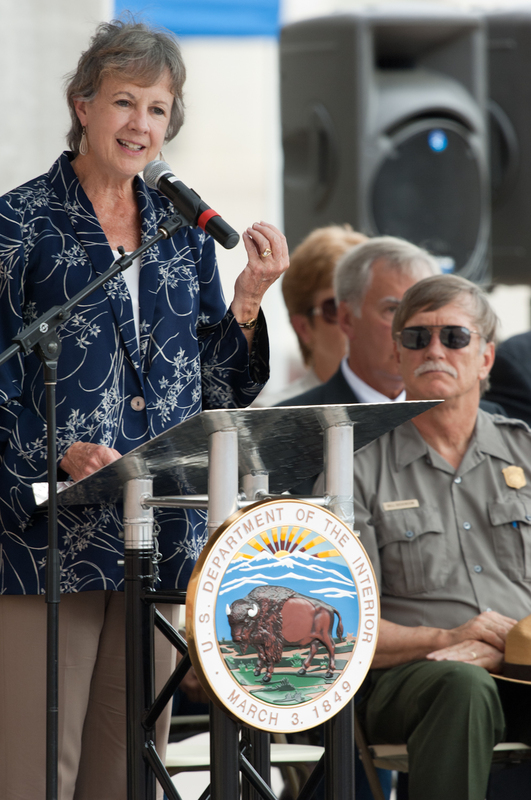 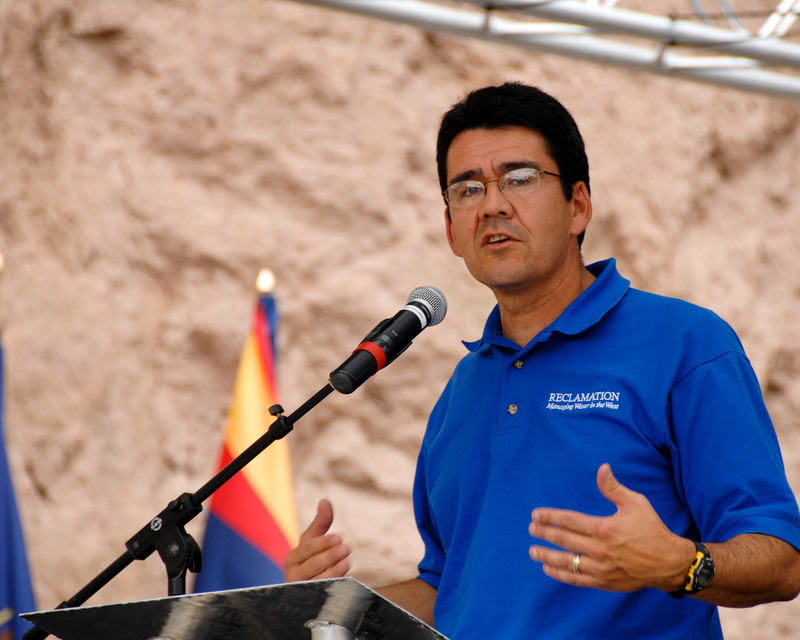 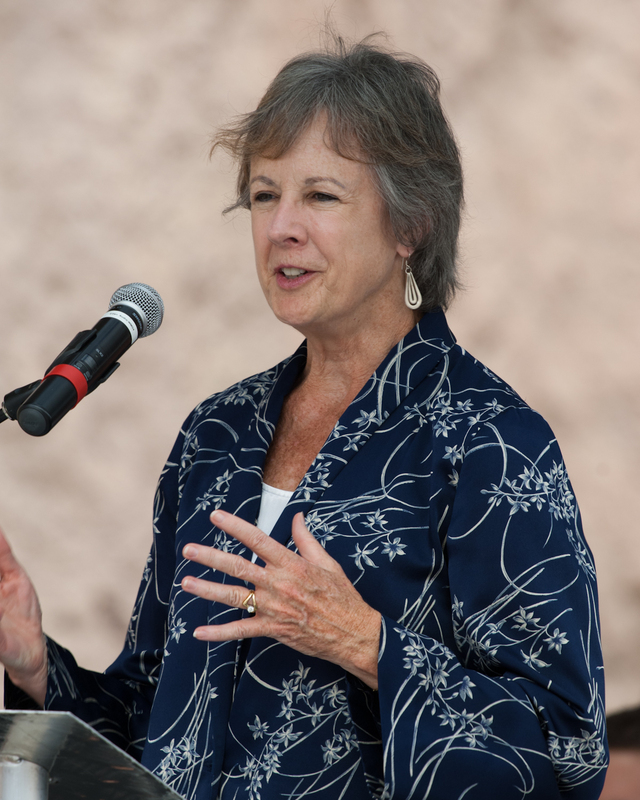 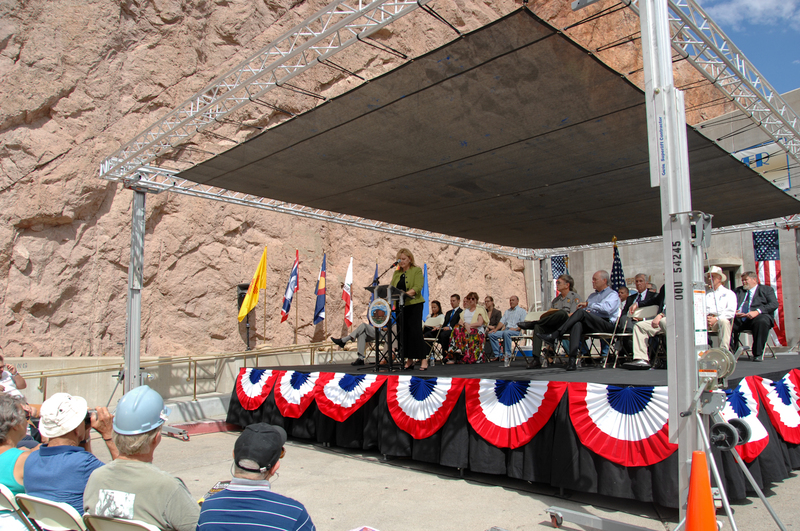 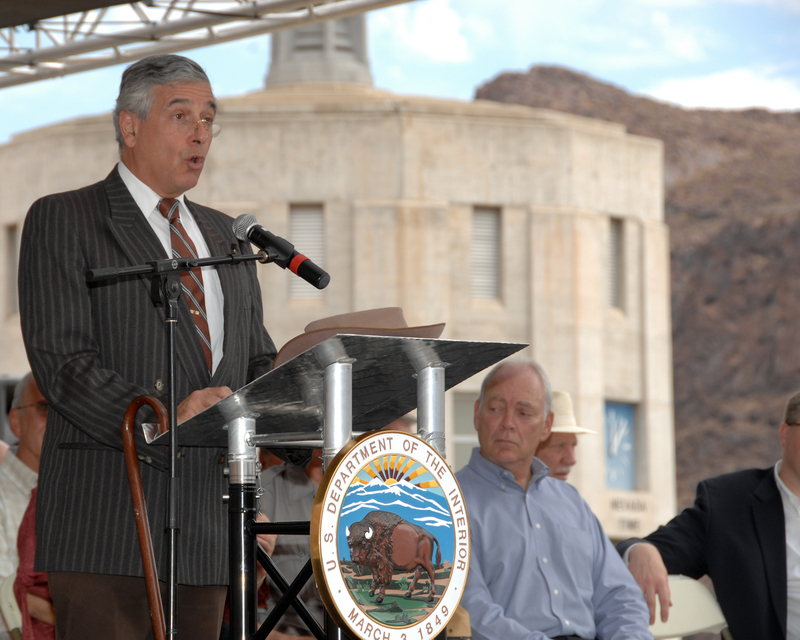 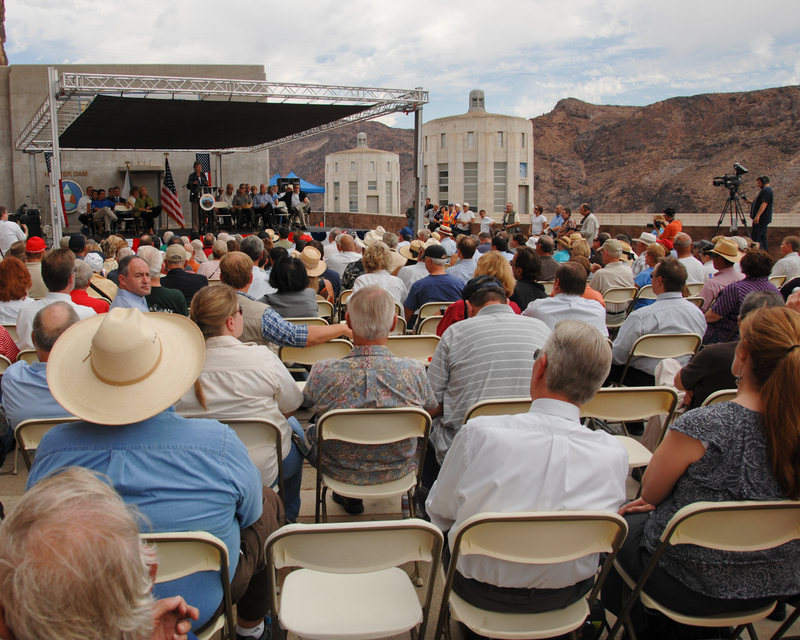 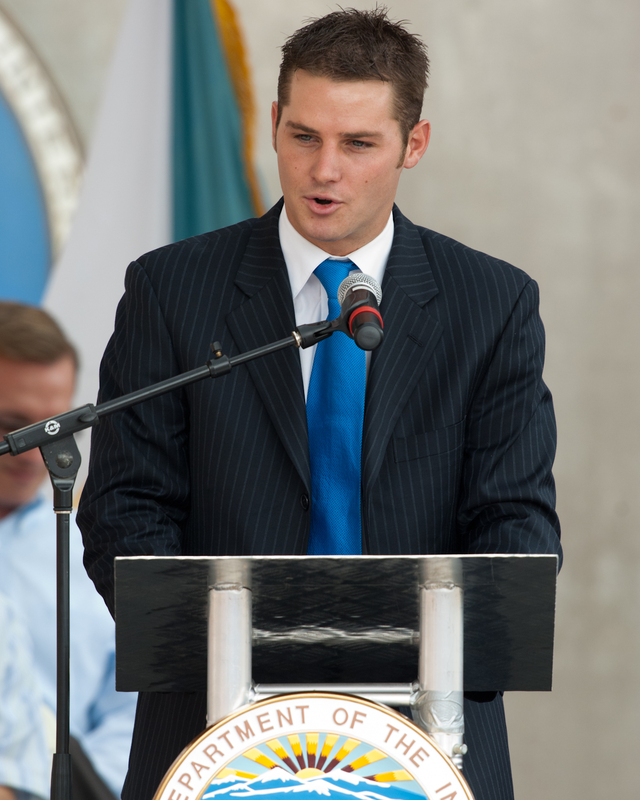 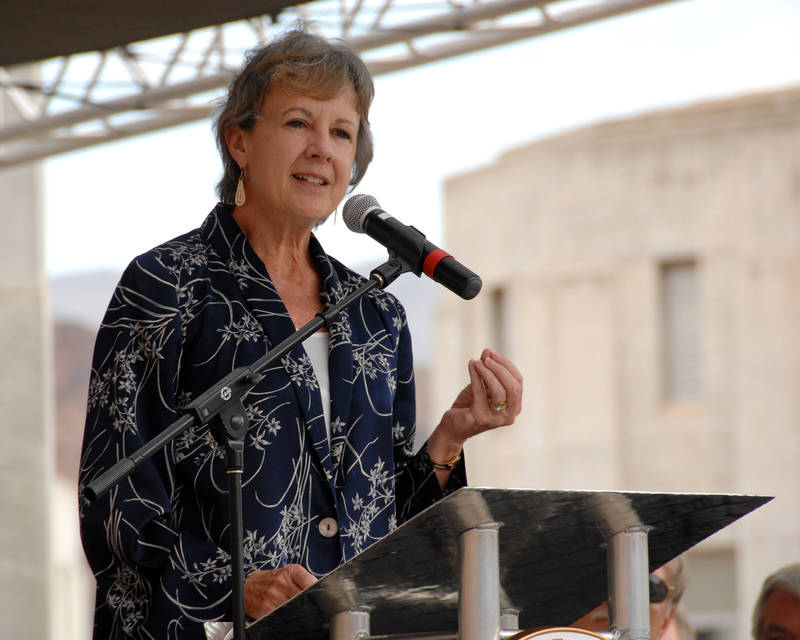 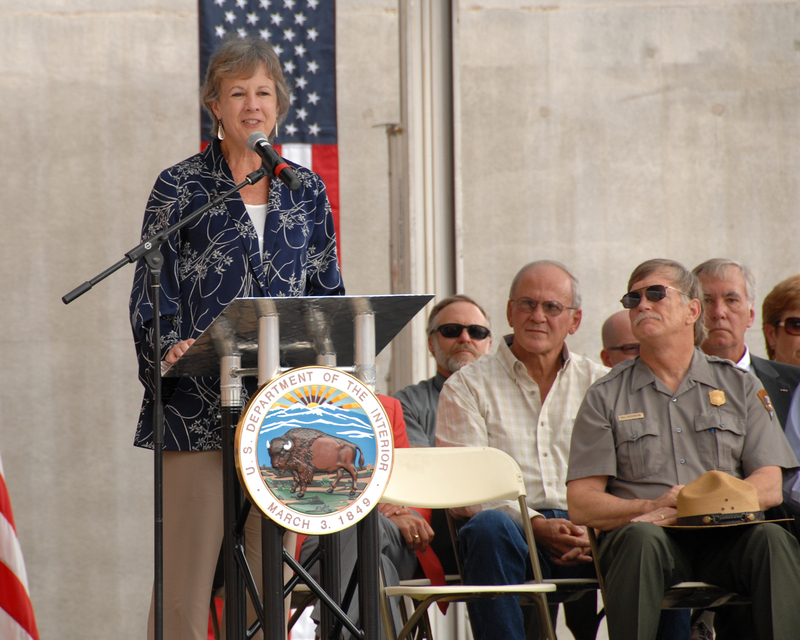 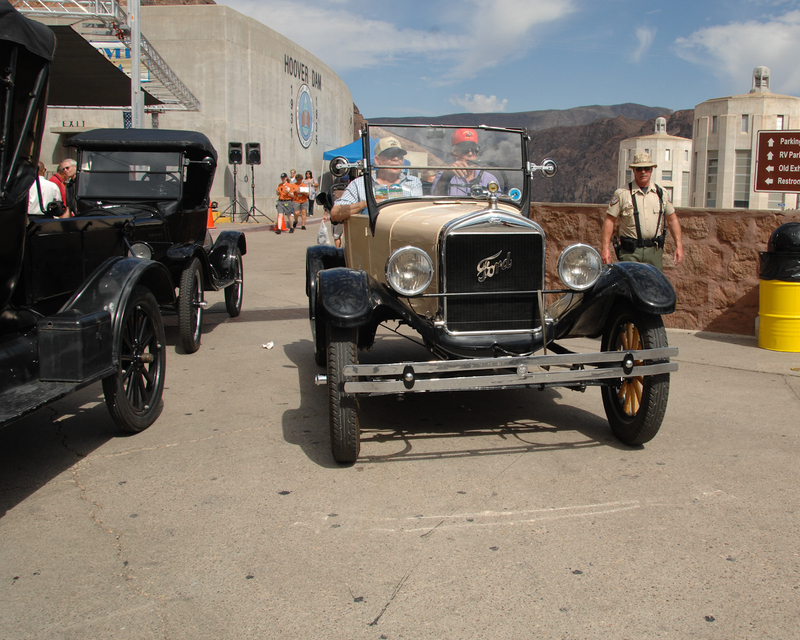 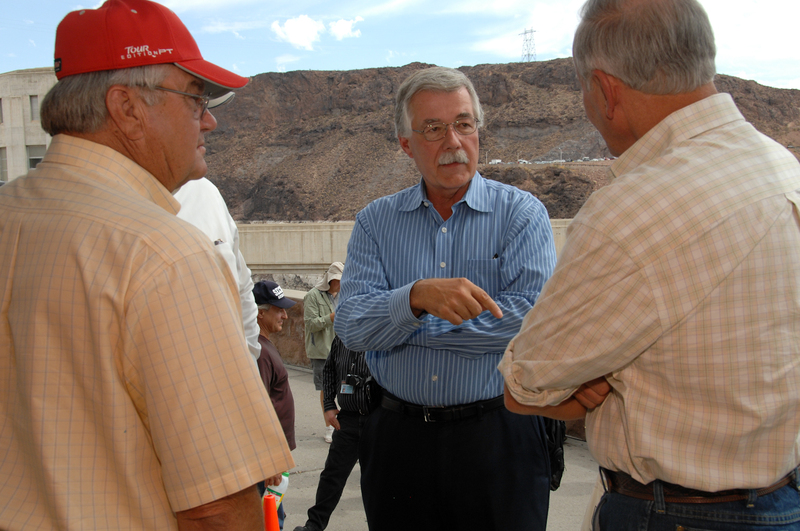 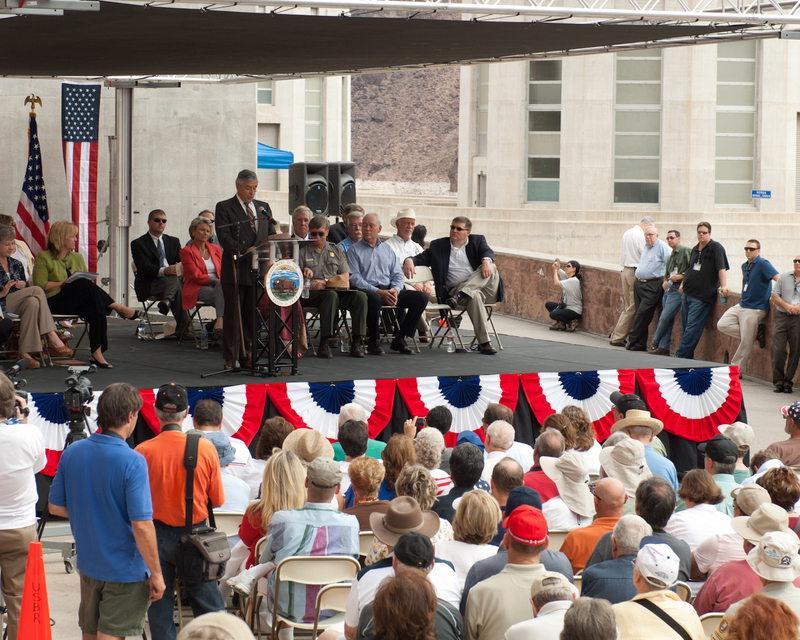 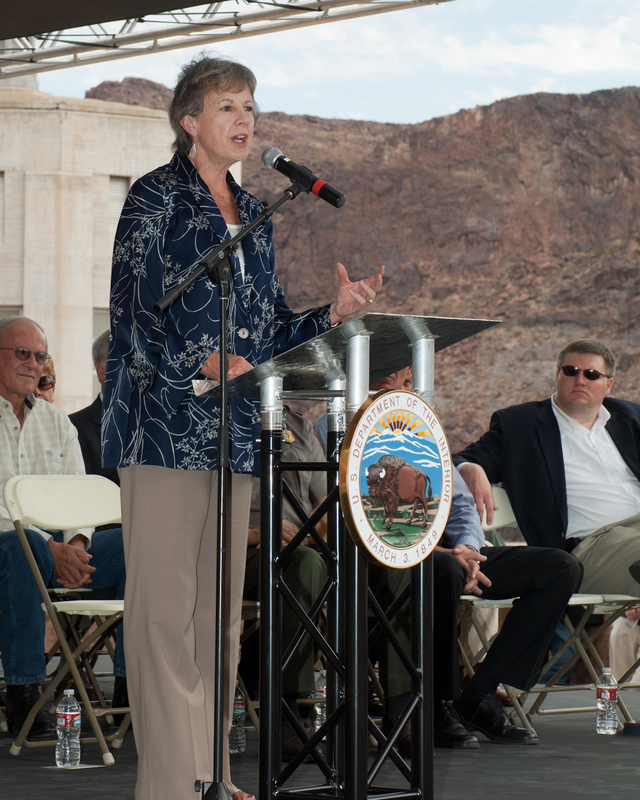 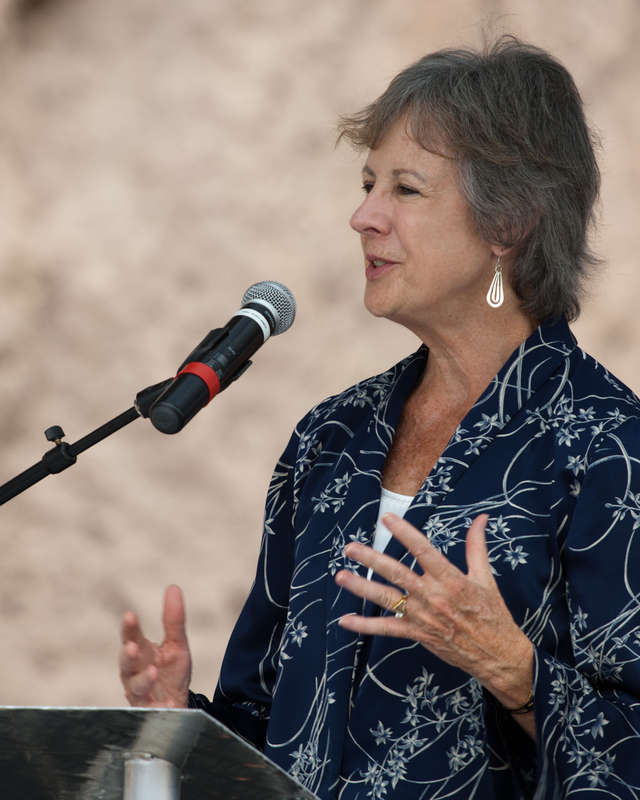 To mark the 75th anniversary of that event, the Bureau of Reclamation, in cooperation with several vendors and partners, conducted a special event on September 30, 2010. 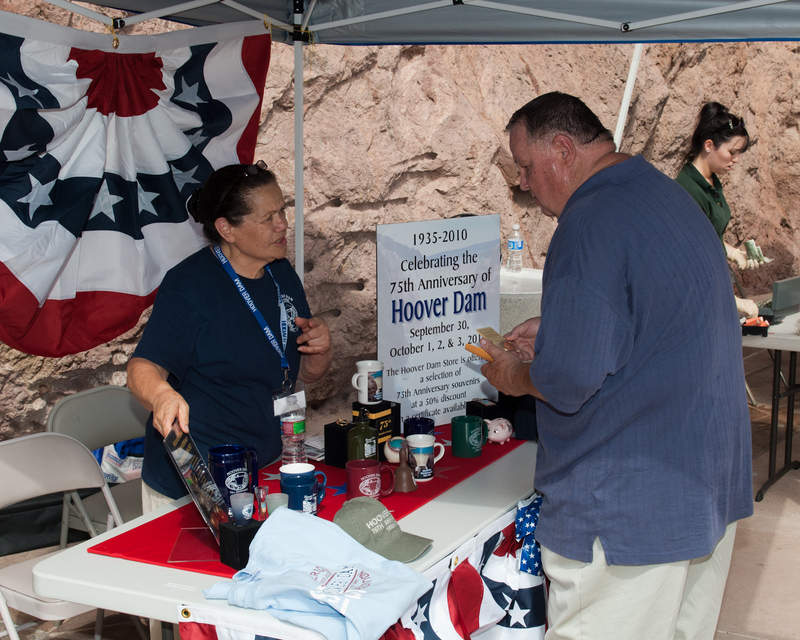 Below is a gallery highlighting some of the day's festivities. 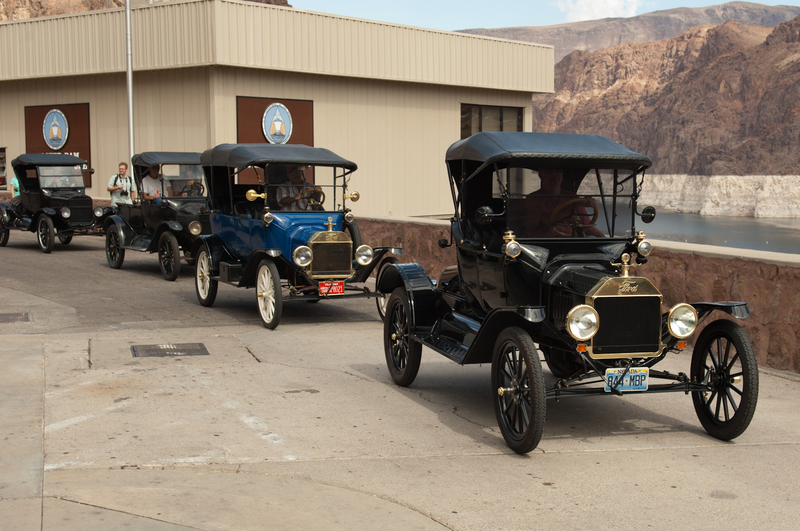 You can click on the thumbnails to see full-size images. 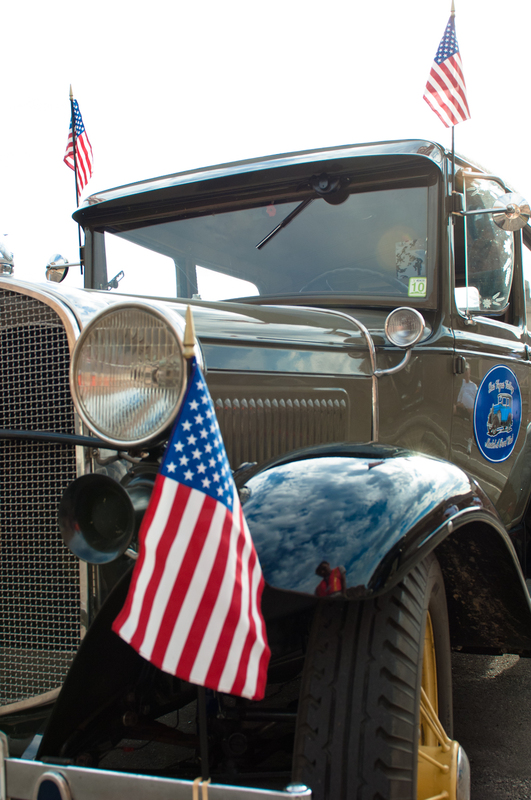 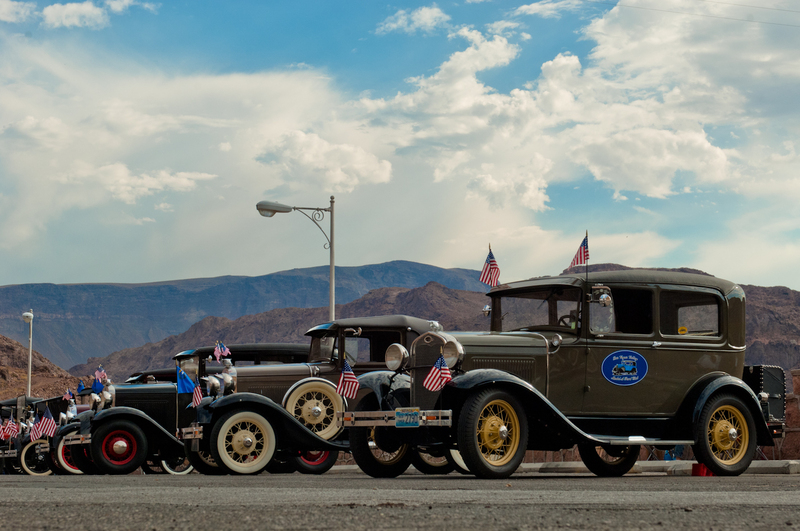 For information on ordering prints of these images, contact the Regional Photo Lab by e-mail to lcmedia@usbr.gov, or call 702-293-8591. 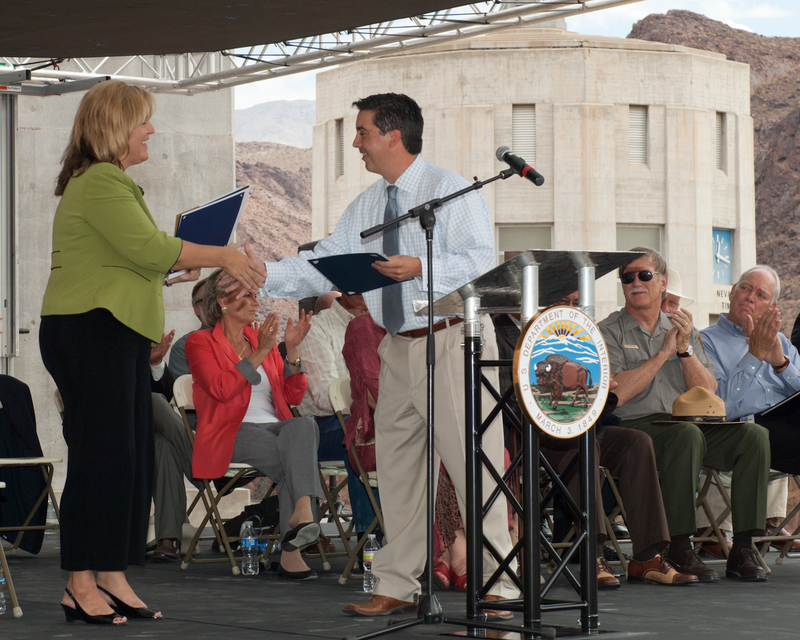 Please have the image number listed below the photo available.